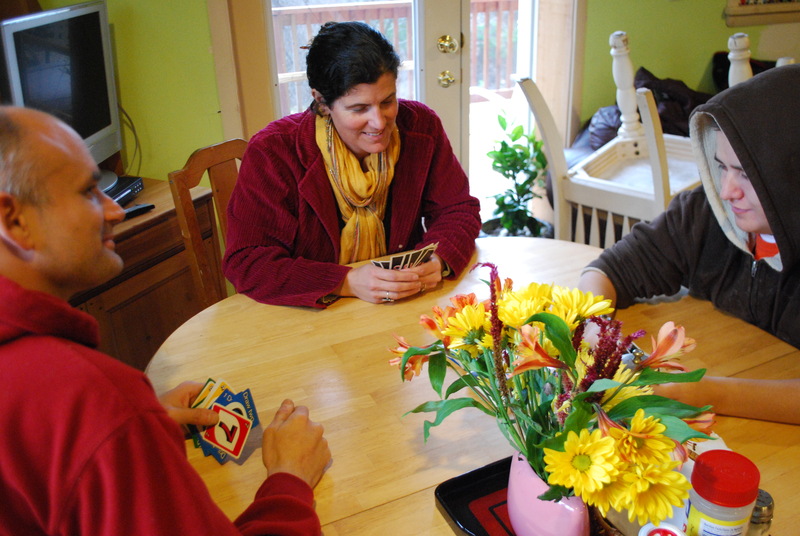 ‘There are new rules and guidelines for Home and Community Based Services being drafted that will dictate what type of living and working situations Medicaid dollars will fund for people with disabilities. There is language in the new rules and guidelines that is a threat to the farmstead model. 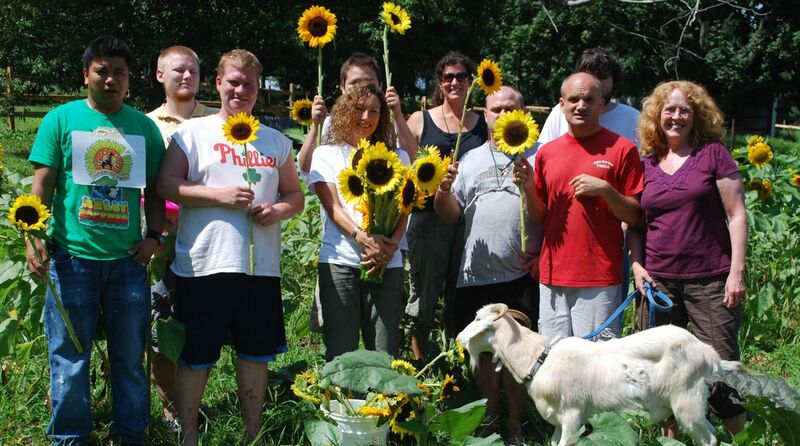 There are disability advocates who believe that farms are by their very nature isolating and that people with disabilities living on a farm will be tantamount to living in an institution…..we at AACORN Farm disagree!’ (Catherine Pinto, founder). And we at Juniper Hill Farms disagree as well!! 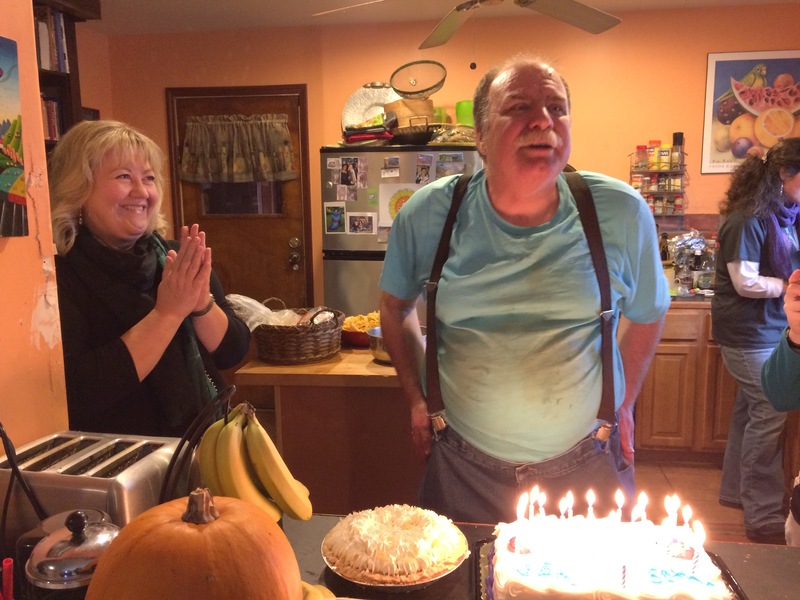 50 candles on Pete’s birthday cake today! Yellow cake with buttercream frosting with a banana cream pie on the side, as per Pete’s request that he made LAST week at Andy’s birthday celebration. 25 or so of Pete’s closest friends sang Happy Birthday and cheered as all 50 candles were blown out. Presents included cans of crab, sardines and oysters as well as doggie treats for Shauna and Pete’s favorite Lemon Ginger Tea. After cake, we pulled names out of a basket to see who our $5 Secret Santa will be for next week’s holiday party…. And then? Our bellies full of cake and homemade macaroni and cheese, we made the weekly mass exodus off of Juniper Hill for Winter Wednesdays afternoon bowling. There have been birthdays almost every week since Jose kicked off the birthday season on September 20th… and now after the holidays in January we will have Karen, Patrick, Rebecca, John, and Aggie for 5 birthday weeks in a row. 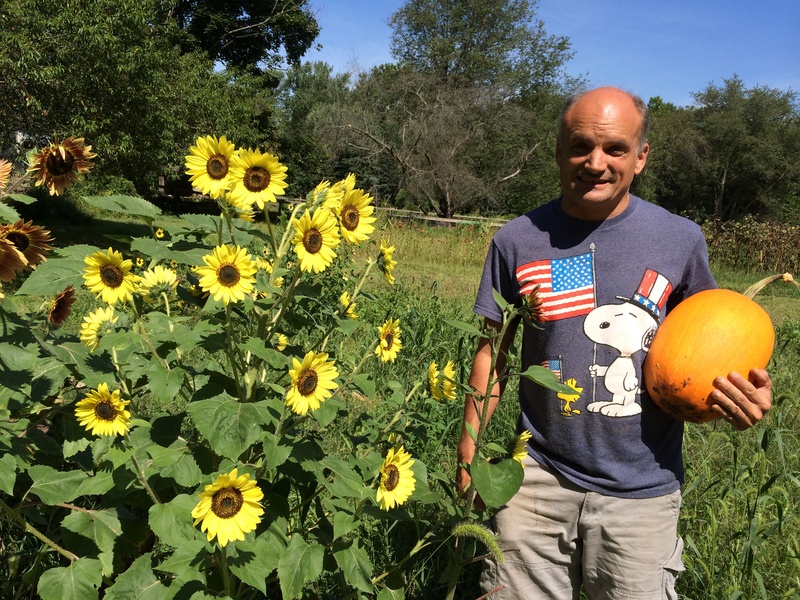 We’re thankful that we are a community of mostly winter birthdays, or we would never get summer sunflowers planted! not be avoided, an unspoken ‘rule’ … that HERE is where we celebrate. Here in the loud, crowded, somewhat worn and disheveled dining/family room right off of the always chaotic Juniper Hill kitchen. A poster on the wall quotes Emma from Emma’s Hope Book …. 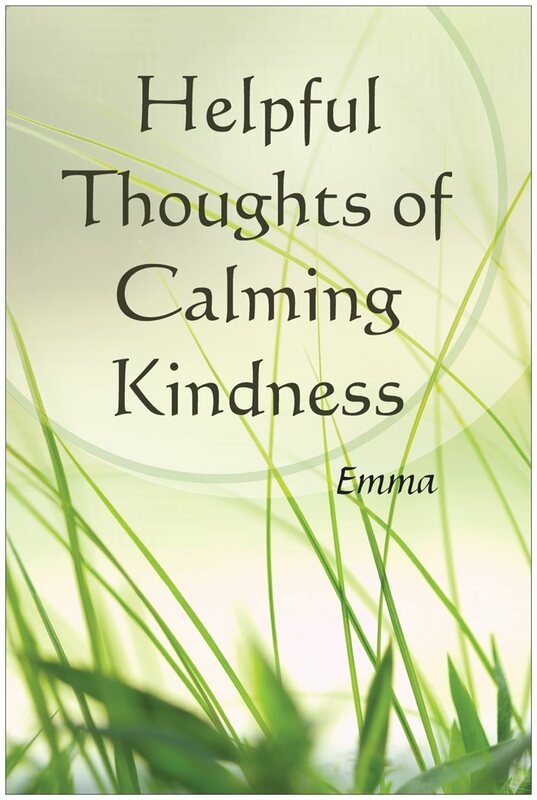 ‘Helpful Thoughts of Calming Kindness’… wise, poetic words reminding us all to STAY CALM. Through weekly meltdowns, drama, and anxiety… it all comes together somehow. It doesn’t exactly ‘STAY’ together… ever… but it does ‘come together’ each week, and by the following week everyone is ready to do it again. 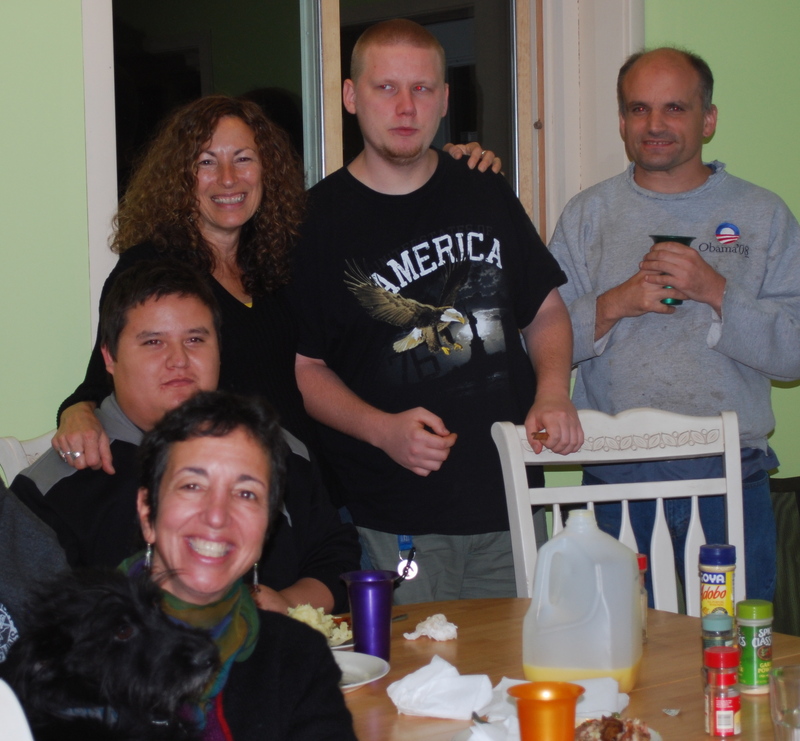 Four years ago … in the beginning…… the question ‘How does an adult with a disability celebrate holidays and birthdays once they are living independently in the community?‘ was not considered. 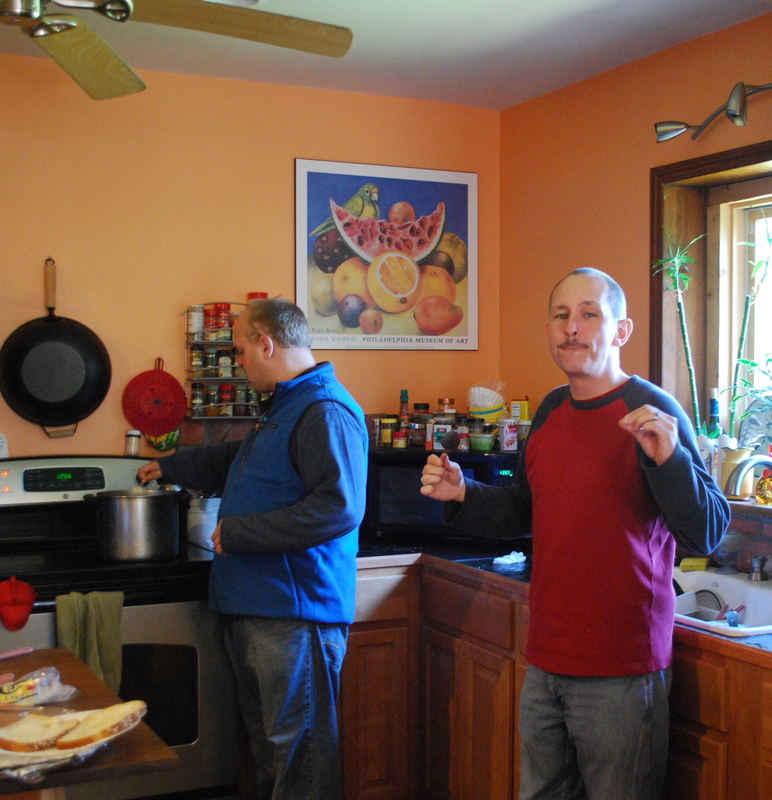 The first six months involved setting up services and support people , finances, pots and pans and furniture. Logistics. Then all of a sudden, birthdays happened. And holidays. But actually … mostly nothing happened. NOW WHAT? This was not part of the plan! Families would call and make the effort, but it was often difficult to be available on an actual birthday. Staff was gone on holidays and there was no guarantee that a birthday would fall on the same day as scheduled staff. And wasn’t I supposed to be ‘just the landlord’? Who was going to make this happen? And whose responsibility was it to help the other guys acknowledge their housemate’s birthday? Just HOW important was this, to make sure that celebrations happen for each person? It was glaringly obvious… celebrations were at the top of everyone’s list here. The idea of taking on that responsibility was overwhelming. How do neurotypical adults celebrate? They call up friends, or friends call them. They’ve stayed in touch with friends from high school or college. They have gotten to know their neighbors socially, or their co-workers, or their church. They make plans. They initiate. They drive themselves home for Thanksgiving. 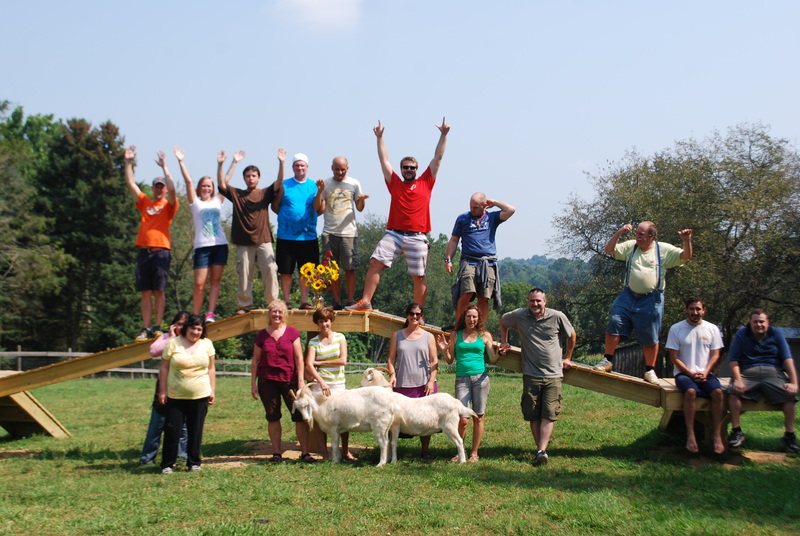 There is an entire multi-generational community that sustains itself without too much effort. But these guys, and many other independent adults with a disability… don’t. They don’t initiate. They don’t drive. They have rarely stayed in touch with school friends. It is difficult to pursue social relationships on their own, whether in the neighborhood or at the workplace. Their aging parents do their best to pick them up for family events and drive them back home again afterwards. Sisters and brothers stay involved the best they can, but they are raising families of their own. And for many many people, living independently in the community with a disability… they spend these special occasions alone. So why does this work here at the farm? What we really DO have here is a community… after 4 years of working together, 4 years of eating together, 4 years of living together or just being together for a few hours each week. That’s all it took. Just real life… and familiarity, true friendship and trust. We have a community… and they want to CELEBRATE! So we do, together. ALL. THE. TIME. Something else happened today, another incident that embodies the importance of the relationships that exist within the Juniper Hill community. One of the guys kind of ruined the bowling event today, for most everyone there. It involved LOUD melting down, blaming and bullying of others. Upon returning to the Hill, he disappeared for three hours. 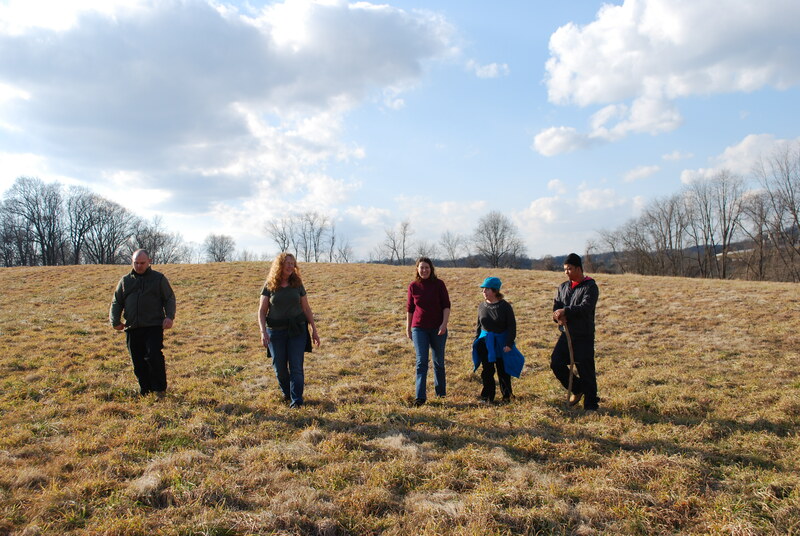 Around the farm, into the woods, or up in the other house at the top of the hill…. he went somewhere (because on a farm, there is space. There is room to be alone, to have your quiet space, to reflect without interruption. Another bonus of country life. )… The rest of us feasted on some pretty amazing leftovers for dinner, put up Christmas lights, and sang Christmas carols with YouTube videos. Actually, I had absolutely nothing to do with the singing part, that was INITIATED (yes, they initiate now) by the others. ***(just a side note about having the word ‘bully’ in quotation marks. This guy, this quotation marked ‘bully for an hour’ is the kindest, gentlest, most compassionate and generous guy you will ever meet. But not during a meltdown. No one is. That’s why it is called a meltdown). They were rocking the Christmas Spirit here… when the afternoon melt down **’bully’ returned. And here’s how it all transpired…. No judgement. No complaints. No mention of the afternoon meltdown. It was over, after all. Instead, there was a pretty amazing welcoming reception because the leftovers that were the most coveted had been cooked by the ‘bully’ the day before. Everyone raved about the ‘accidental chicken stew’ (he had intended to make soup!). Then they served up leftover birthday cake, found enough space on the couches for everyone PLUS the dog… and watched three Christmas movies in a row. It wasn’t that he hadn’t been wrong. It wasn’t that it hadn’t been a big deal at the time it happened. Feelings had been hurt, people had been made to feel uncomfortable. Tomorrow, he’ll probably talk about it and think of some ways to possibly avoid it next time. EVERYBODY here does this, or something like it. There is such comfort in this knowledge. They all have their stuff (me too!) . We have all needed to be forgiven and accepted. Regularly, actually. And everyone works hard every day to keep it together. Everyone is doing the best they can, and most of the time we all understand that…. three hours later. We do community AND forgiveness, AND acceptance…. really really well here. Dear Center for Medicaid/Medicare Services… Please don’t take this away from us, just because we live on a farm and not in what is considered a traditional ‘community’ setting. Don’t change this life we have built here, just because most of the people here have autism and you think that we should be living closer to more non-autistic people. This IS a community setting, and we do ‘community’ better than most anybody. Opening Day of Winter Wednesday Bowling 3 weeks ago! Check out our ‘Feeling like Fall’ video! back in rubber boots, cart full of interesting stream rocks to put around his pond, net in hand, and his container with two crayfish and a salamander. 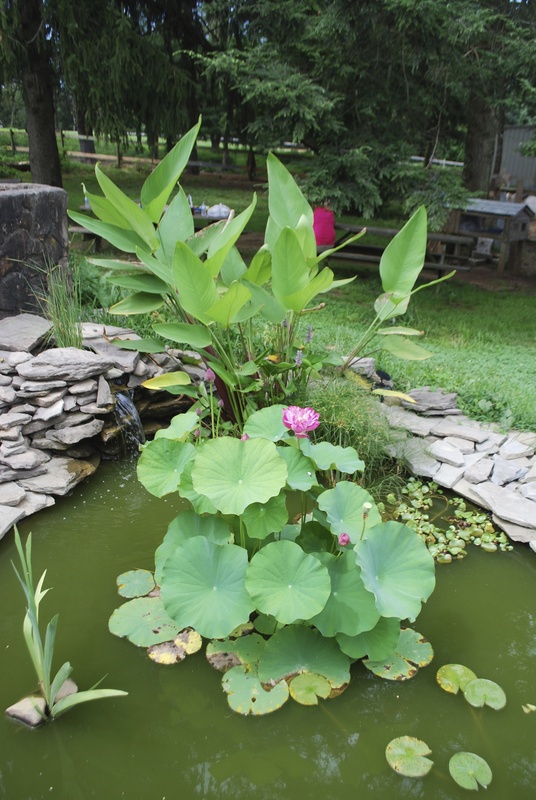 He added the creatures to his pond that we finished last summer, and told us his ‘fish stories’. Michael called this week, excited about his new place… asking advice about laundry, budgeting, relationships, and planning our summer trips. John, chef extraordinaire, sat for an hour yesterday reading recipes from a new Mexican Cookbook and talking about ‘catering’ a private party for a friend. 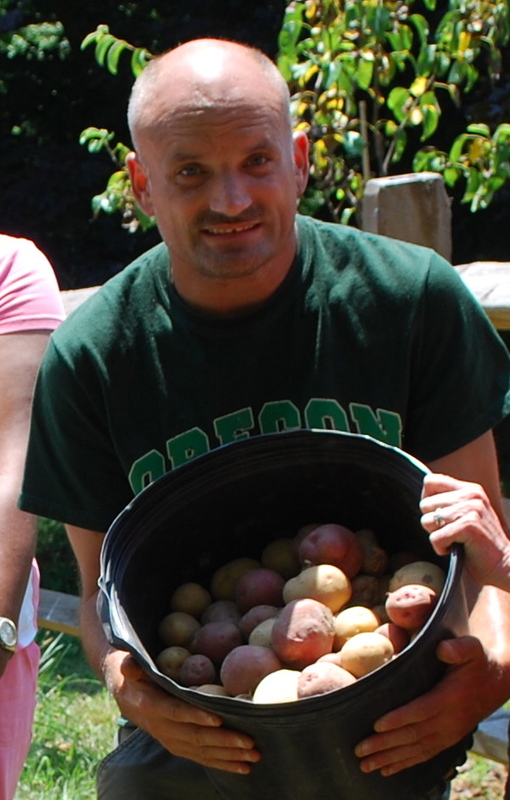 Brent and Pete rototilled and planted their own bed of potatoes at the top house on Thursday, even though we have a big bed of potatoes planted for everyone down here at the main house. They just wanted their own patch of potatoes. These are the kind of things happy people do, I think. Right? I mean, these guys do struggle with anxiety and sensitivities and impulse control. They never have enough spending money. They complain about their housemates. They don’t have jobs that give them enough hours or jobs that are steady. They all have dreams that have not yet been met. But I really believe that they are happy. There is always something that they are unhappy about each day. But lots of times if asked, they say they are happy with their lives. And happy people, they care about the view. I’ve given this a lot of thought this past month, because we were asked to speak at a conference about ‘happiness’. And this is what I truly feel, so I’m sticking to it.. for now! Last Saturday the guys and I presented at the ‘Autism and The Pursuit of Happiness’ conference given by Dragonfly Forest, a camp for children with autism and other disabilities. When they called us a few months ago and asked if we would all ‘present’, I hesitated. Well, the guys don’t actually … ‘present’, I tried to explain. But I thought about it and decided to give it a shot. I wasn’t sure how we would all have on our happy faces for that day… but that’s not really what happiness is all about anyways, right? So I came up with a powerpoint presentation highlighting the things that I think have contributed to the guy’s ‘life attitude’, be it happy or not, and piled everyone into the van for the ride early on a Saturday morning (a miracle in itself). We were lucky to have our own corner in a quiet side room, with a table on which we could put our important ‘stuff’ during the conference. Michael arrived and announced that there was NO WAY he was going to stand up in front of a bunch of strangers and talk. Rebecca wasn’t feeling 100%. Andy had stayed up all night and didn’t come at all. Brent brought a blanket to sell, and that was all he was concerned about. And Ray brought Lego creations. He was ready and willing to ‘present’ his Lego stories. I told them all that I would pay them 10 bucks if they would at least sit in the room while I talked, that it would be nice for folks to see who they were and maybe ask a few questions and they could answer if they felt like talking. So they all decided to make the effort and go outside of their comfort zone for an hour.. for 10 bucks. It. was. amazing. It was either the most outlandish/uncomfortable presentation for the audience… or the most amazing /best ride ever. The guys mostly did it themselves… with me just clicking through each powerpoint slide and saying a few words before the guys cut in and told everyone the story behind each slide. Michael, who had intended to leave as soon as he arrived because he ‘was not going to stand up and talk in front of people’… jumped up at the first slide to talk about the photo and how it was one from the first year we were together … and he was the one who led everyone else, standing the whole time in the front of the room leading the conversation. Really. I loved it. These guys rock. They reminisced about good times. They were unorthodox. They argued. In the middle of the presentation, they excused themselves and went outside to work out their differences and came back in five minutes best friends. They talked over each other. They laughed with each other. And they were occasionally R-rated… talked openly about sexuality, bullying, abuse, and living in a residential facility. Rambled on and on in detail about Lego creations and why each part went where. And they told the story of their lives together the past four years, talking off of the slides that had the memories… the trips we have taken, the meals they’ve learned to cook, our animals, selling sunflowers at the Farmer’s Market, and their staff, their wonderful support people. And every so often during the presentation, Brent would raise his hand. And then he would come up to the front of the room and stand next to Michael… holding the blanket that he was crocheting…. and he would say ‘I making blanket bigger’ and then look at me… and I would tell the audience, each time, that Brent crochets blankets and sells them, and he wanted everyone to know that he had one for sale for $35 at the table in the hallway. And of course, after the presentation someone bought the blanket. It was a great day. I am very very happy. First cookout tonight. First time eating dinner outside, first deviled eggs from our chickens. 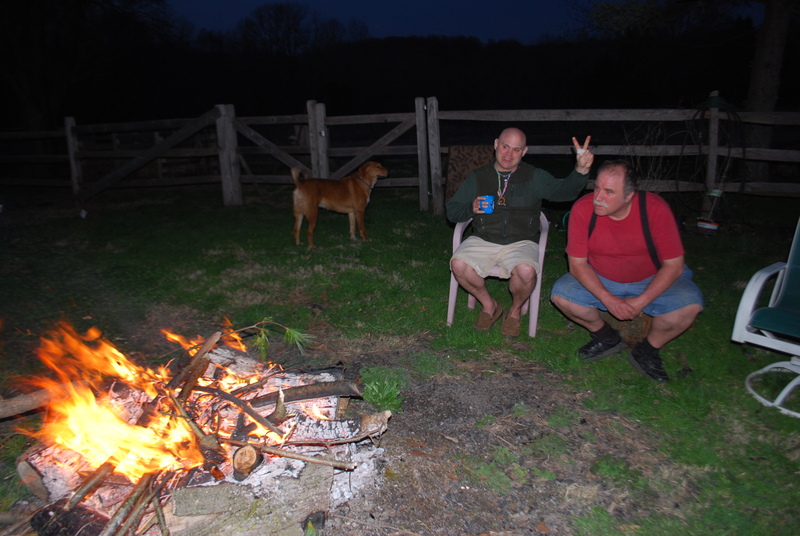 First bonfire, first roasting of marshmallows, first toad eating the insects at the porch light. First bright orange tulip this morning! The predictability of each season is always a cause for celebration here. All house and car calendars have the pages turned by noon on the first of each month, and the day’s discussions are centered around the month to come. April 1st brings t-shirts and shorts, no matter the weather. 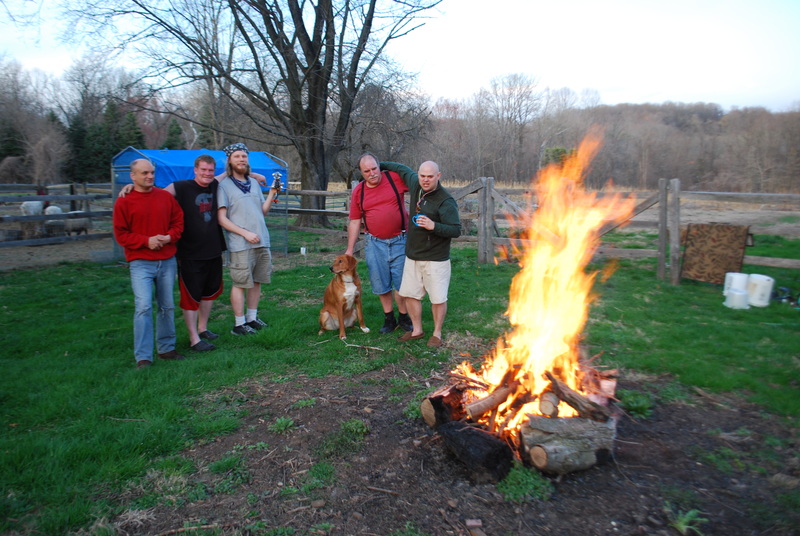 Springtime, food, fire and long time friends. 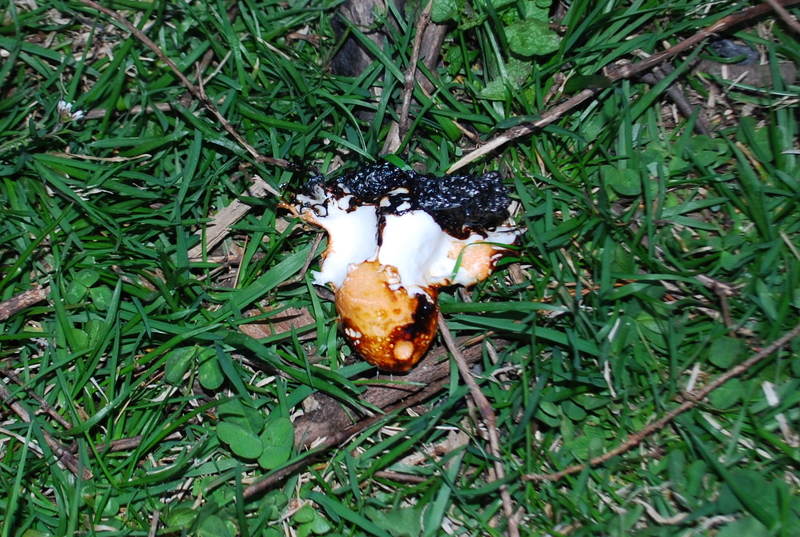 We learned that in an emergency situation… when there is a bonfire and no marshmallows… that marshmallow peeps will do. 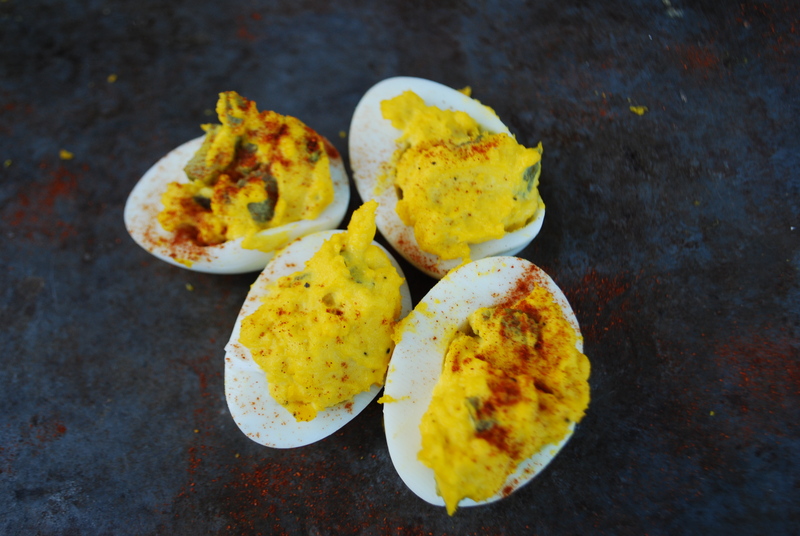 First, we feasted on Patrick’s grilled steaks, pierogies, salad, and deviled eggs…look how yellow the yolks are from our chicken’s eggs!… We still have 4 dozen eggs from them in the fridge, and John Pags actually sold 2 dozen at work today! It’s their first year laying, they must be very excited. 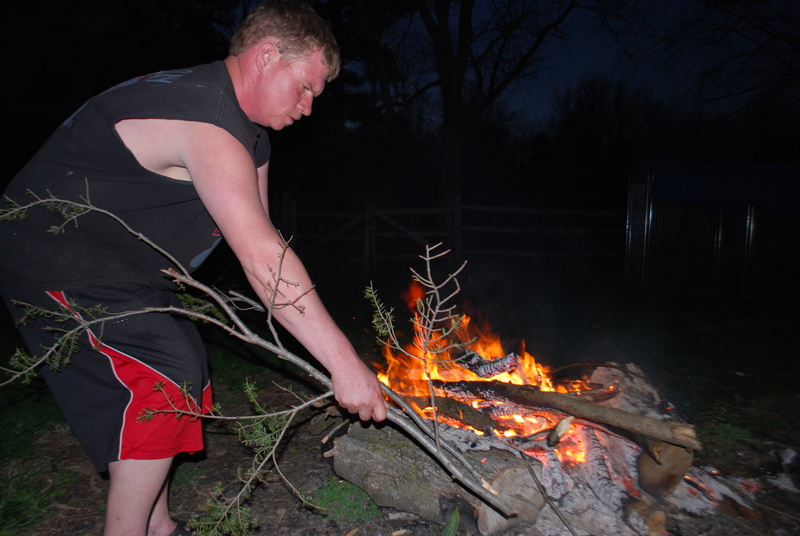 Then Patrick, man of the evening, built us an amazing bonfire from all of the downed branches from the winter storms. 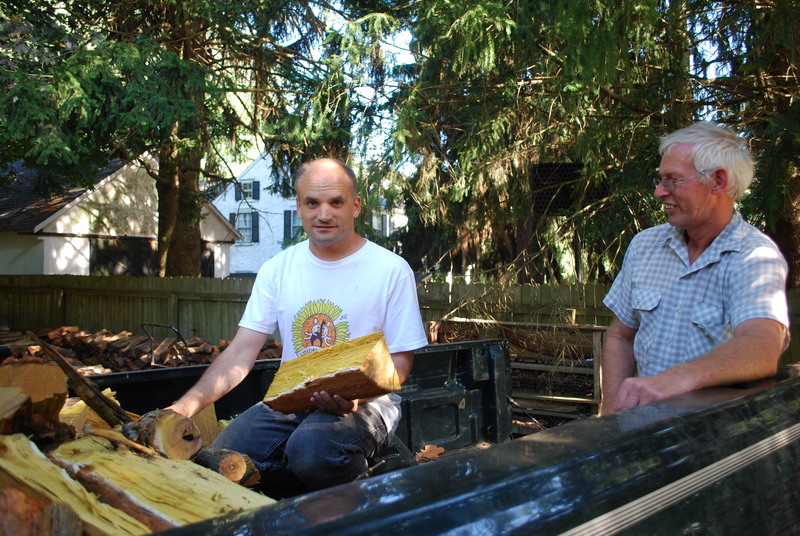 We have plenty of wood for the entire spring, summer and fall weekly bonfires. This called for a celebration! 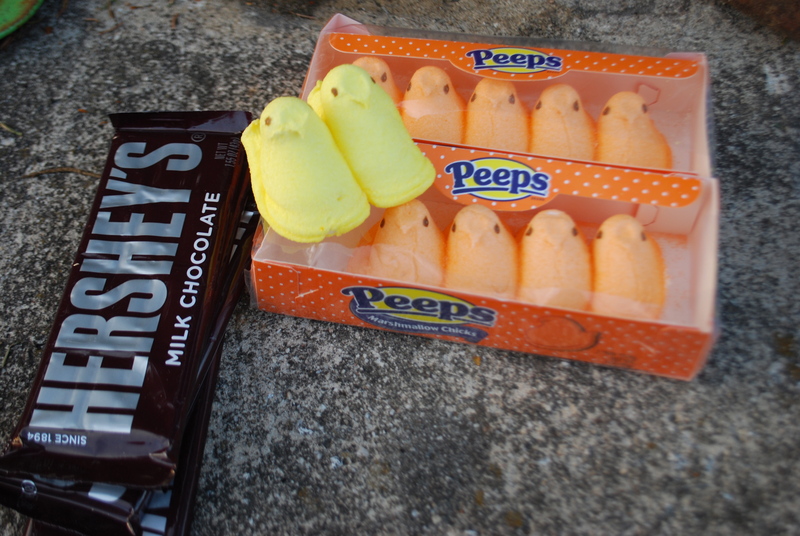 I donated my hidden stash of Easter season marshmallow peeps, and we just so happened to have 4 Hershey chocolate bars in the closet. 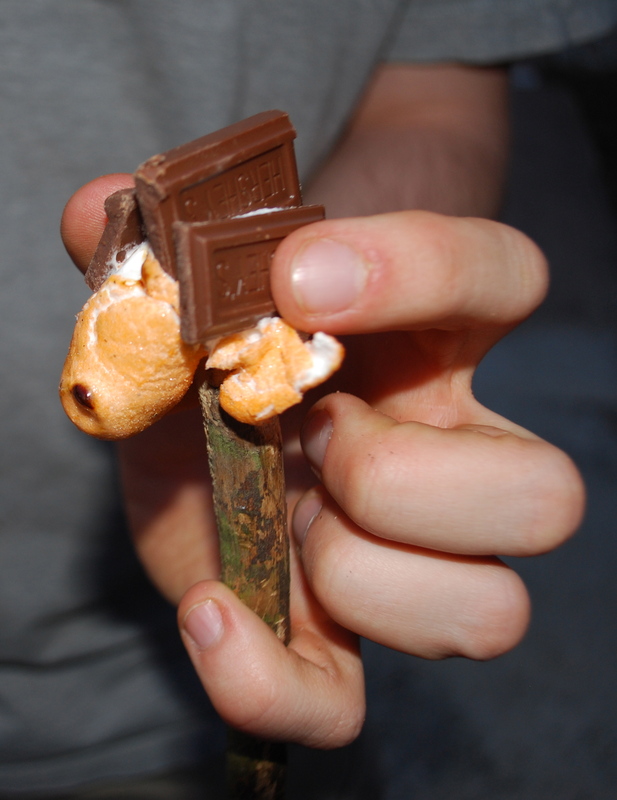 No graham crackers, we improvised. 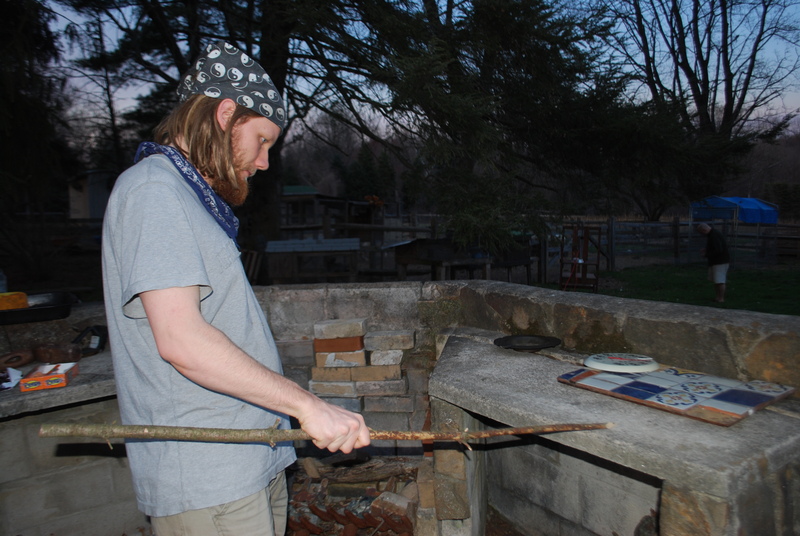 We collected roasting sticks, and got down to business. 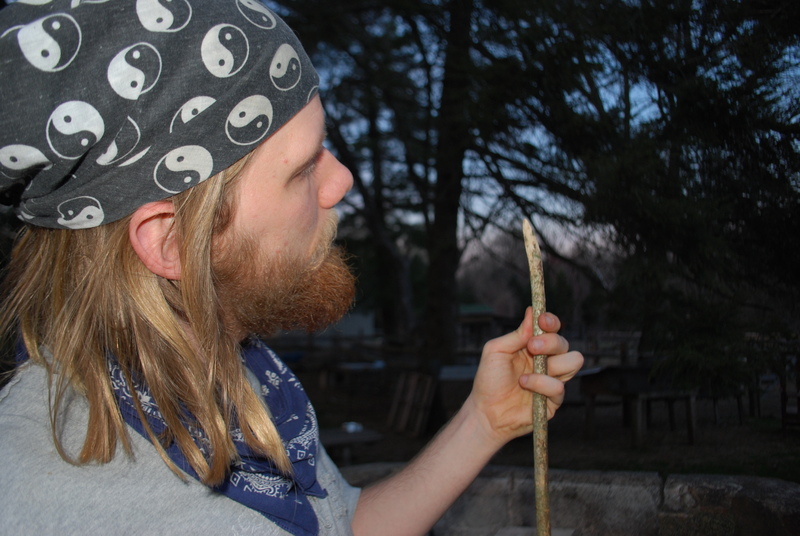 And Ray sharpened his stick…..
Ray’s stick is almost sharp…. 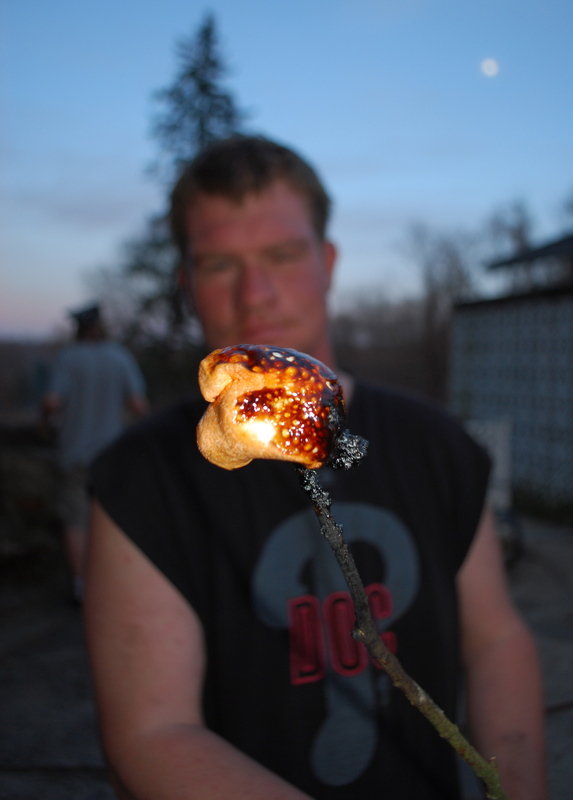 Patrick made a great one… the sugar caramelizes it so nicely…. I could end the story there… but there’s a little more…. People often ask us how we deal with alcohol, etc. here. And I can honestly say that alcohol, with this crowd, so far is never an issue. For various reasons, the guys are either adamantly against it because of experiences in their lives, can’t have it because of medications, or they are just plain moderate about it and barely interested. I, for one, look forward to having company over for dinner, when I can have a glass of wine without my housemates lecturing me! Tonight, no company. But it felt like a wine kind of night. 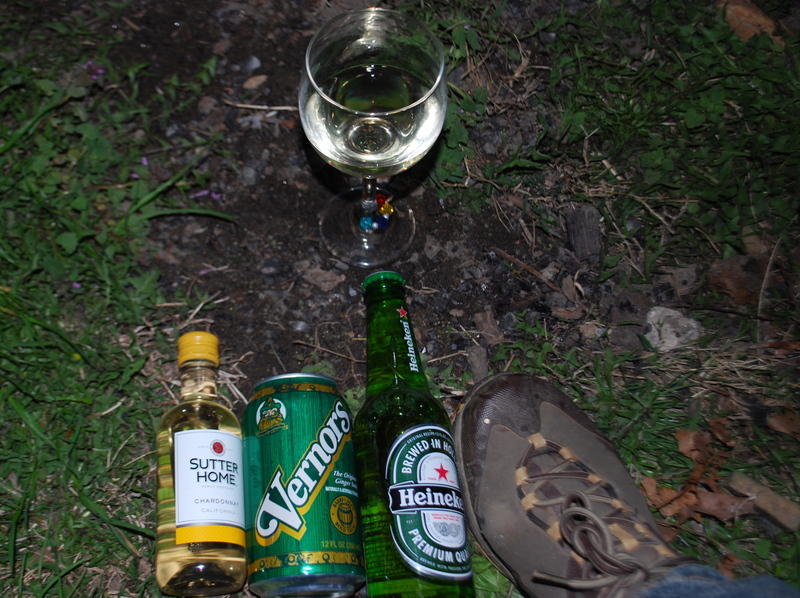 So after the peep roasting, I broke into the Sutter Home Chardonnay cooking wine (OK really, we buy little bottles of pretty decent wine for recipes) , brought out a hidden 6 pack of Vernor’s (really amazing) ginger ale, and had one bottle of Heineken saved for a special occasion. I gave them their choice. They chose the ginger ale. I chose the chardonnay. Effortless Inclusion……it could be. it should be. Imagine this. A place where inclusion just happens. I imagine it can be this way in elementary school classrooms, where children have not yet learned to judge those with differences. That would be beautiful to see! I wish it worked as well for adults. Perhaps it does, somewhere. I see the media spreading the stories of high schools electing prom queens with disabilities, or football players with autism being allowed to play on the team for a day…. nice stories, but I always wonder what their lives are truly like, once they leave school. In my 30 years of being intimately involved in the lives of many adults with disabilities, in several states from one coast to the other.. rarely have I seen real inclusion while out in the community. And I really really really want to see it, and I want to believe that it is happening. 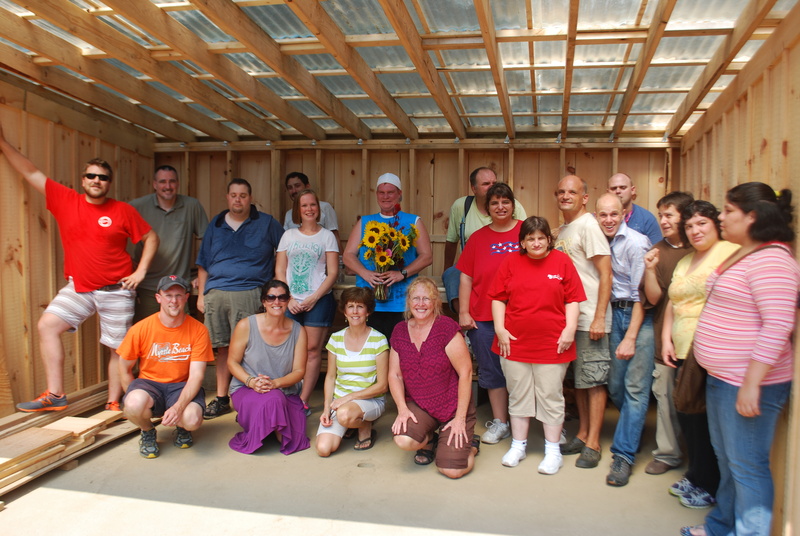 Instead what I DO see is planned efforts to bring people with disabilities into the community. In grocery stores. In churches. I see them with their support workers, walking around the mall. Present in the ‘community’ with typical people, living parallel lives. and I see ‘typical people’ make real efforts to be extra friendly to them… for a little while. Then they turn and go on with their conversations that they were having with their typical peers. They leave work with their typical peers, they go to happy hour. They have brunch with their peers at their house on a weekend. They call up and say ‘hey, want to go to the Y today?’. They tell each other their secrets. And too often, the person with the disability leaves their ‘inclusive’ community activity … their job, their school, their mall exercise….and goes home. 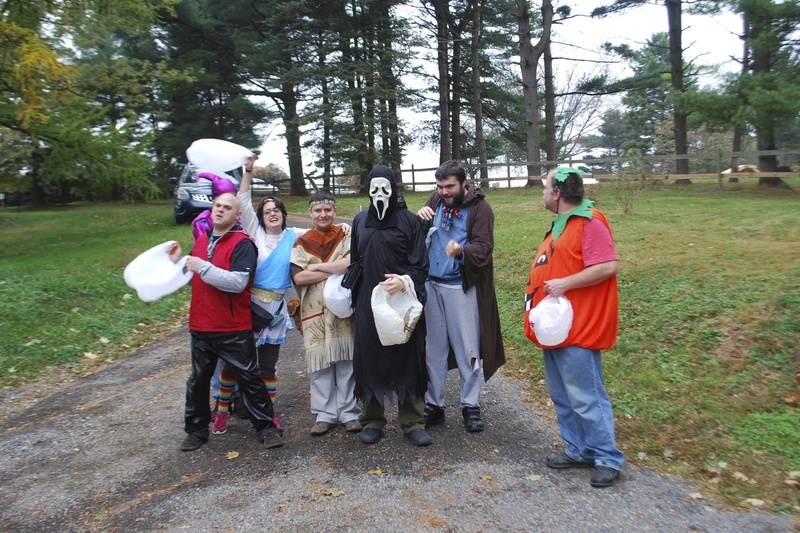 They go home to their house with mom and dad, or their group home, or to their apartment where they live alone. After work they go to the YMCA program for people with disabilities. Or their support worker will come over and take them to a movie. People from work don’t stop by or call. Sorry, for being so cynical. I’ve just met so many lonely people over the years. I am tired of defining ‘inclusion’ as the process of bringing the people with disabilities into a society that often is just not that interested. It is such oversimplification to say the a person is ‘included’ just because they have spent their day alongside a typical person outside in the community. Parallel lives, that is not inclusion. I have seen true inclusion. I see it every Wednesday actually. 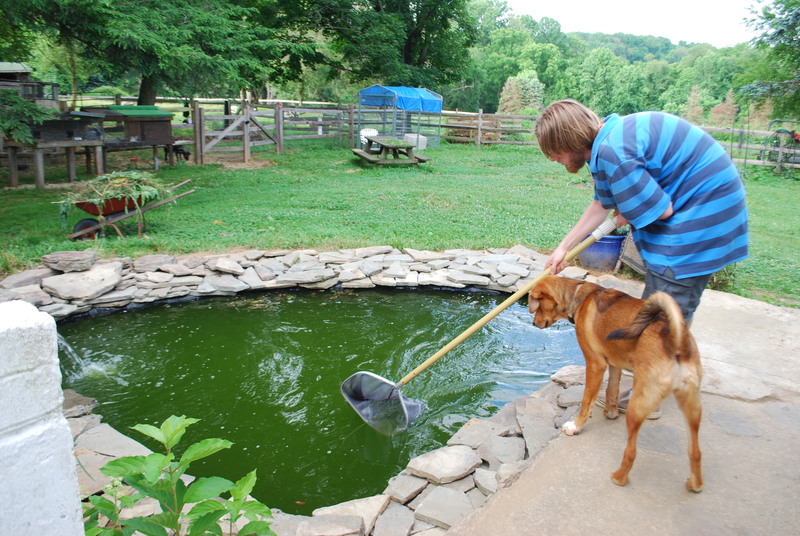 Here on the farm, a place where several people who have autism live. A place that borders on ‘congregate living’, which is supposedly a bad thing. Just like all those other farms across the country that people with disabilities call their home, that are being so severely criticized these days for supposedly being isolating, without choice, and not inclusive. 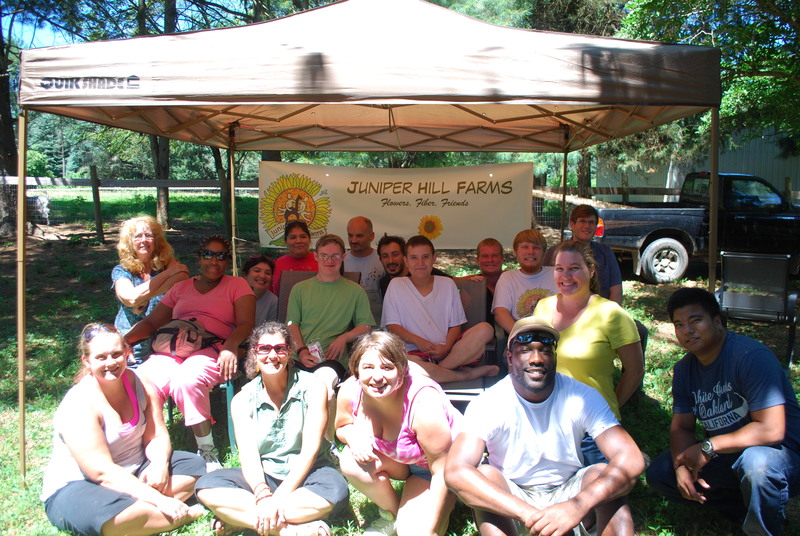 These people here at Juniper Hill have shown me that there is another way , without really thinking about it at all. And I think their way is better. And all those typical people that really haven’t thought too much about including people with disabilities into their lives…. they are REALLY missing out! So I say… Isn’t it time they came to US? I say ‘US’, because most days I am immersed in a community of people who are not neurotypical. And I say…. Lucky Me! It is my community as well as theirs, because having a disability is not a ticket into the club. These folks around me who happen to have a diagnosis… they are way more welcoming and willing to REALLY include all those ‘typical ‘ people into their lives. There is no judgement here. In fact, these people I am surrounded by, they spend very little time wishing they were ‘included’ in the typical community. They don’t even notice who around them has a disability and who doesn’t. They do not define people by their disability. You can come at 1030 and work until lunch…. 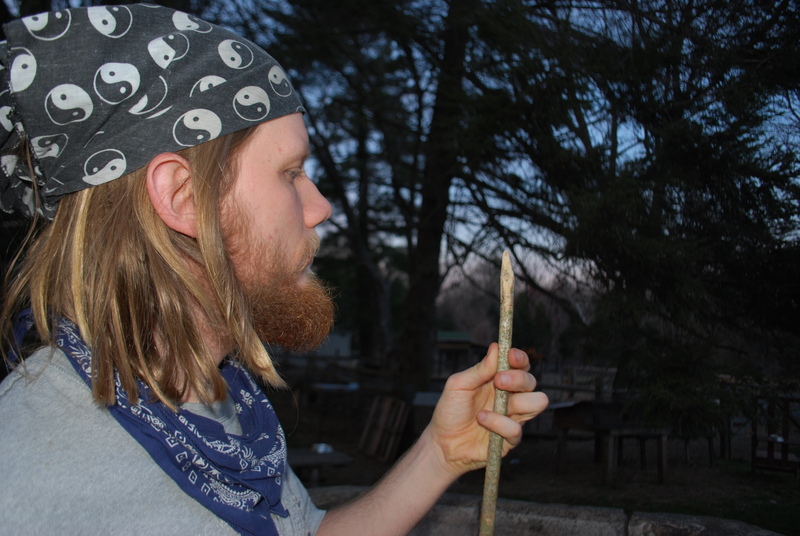 you cut sunflowers, fill birdfeeders, weed, feed animals, clean barns…. mow. Then at lunchtime, everyone stops working, we gather in the kitchen to fix our plate of delicious food that Jose and Carin have prepared, and we go outside and sit at long picnic tables with our good friends… and we talk about the day, what went on in our lives this week, the latest HALO/Lego news, the food, and the weather. If you did not show up to volunteer at 1030… you can still come. But you must bring your own lunch! You can come to hang out, because sometimes after lunch we go for a hike… or play Bingo, or just sit around and tell stories. Here is why this is inclusion.. There were over thirty people here today. Seven of us live here. 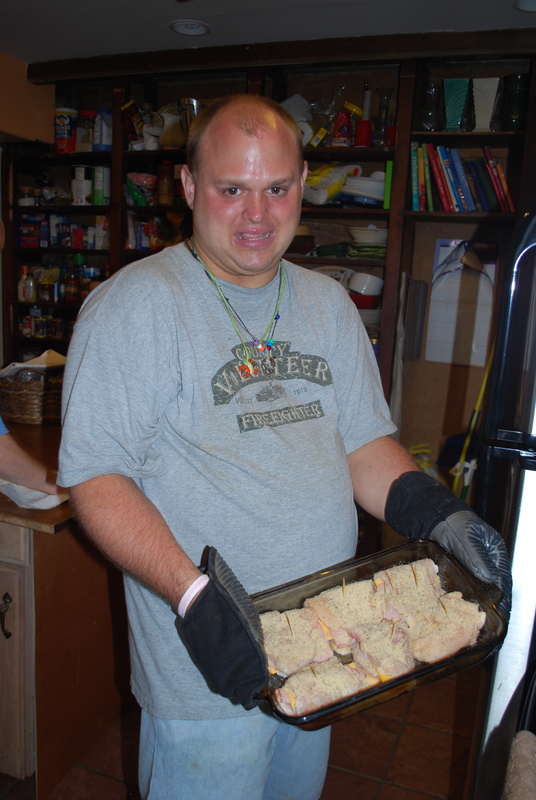 Ten or so people who are part of the autism/disability community showed up to volunteer… so more than half of the people here had a diagnosis….. not that anyone here notices that about each other. Several people here were the staff people for these folks. (Now, I know officially support people ‘don’t count’ as contributing to inclusion, because they are paid to be here. But really, it depends on the support person. Things especially change when you work at the same place for three years. It’s kind of insulting to think that they don’t really count, these wonderful people who have become part of the family). And who else was here with us today? Rebecca, who found us last year while looking for possibilities for community service. Now she just comes because it’s great fun and folks, and it’s the way she prefers to spend her free time on Wednesday mornings. Ezra, who is a contractor who is tiling the bathrooms in the top house and who has gotten to know everyone and spends every lunch time with all of us. Ari, Ezra’s 12 year old son who comes along with her and hangs out on the farm now. Peyton, the Eagle Scout who is building a shed here as his project. Peyton’s brother Mike, who helped him out today. Alison... who is a neighbor that lives in the development across the road and works with one of the Juniper Hill guys on Fridays. It was her day off today, and she was home with her 7 year old son. 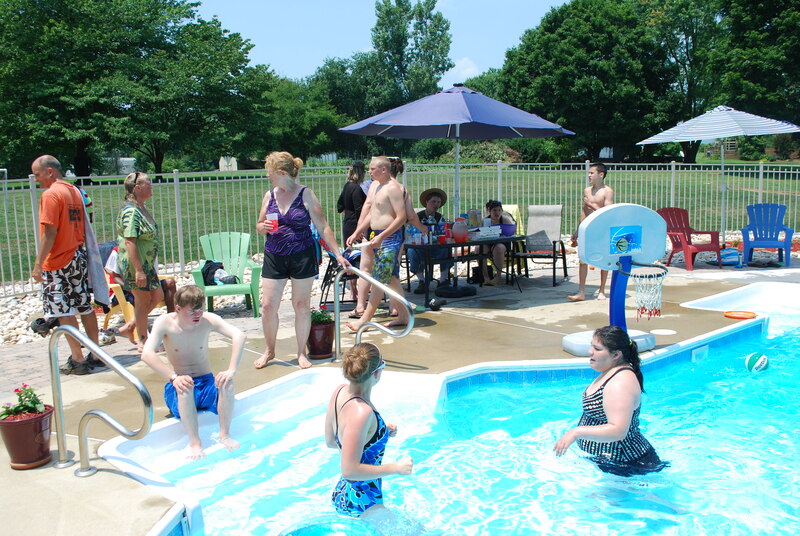 So she called us up and invited the whole crowd over to her pool. So the entire crowd, full of Jose’s chili (now that I read this, it sounds a bit dangerous! 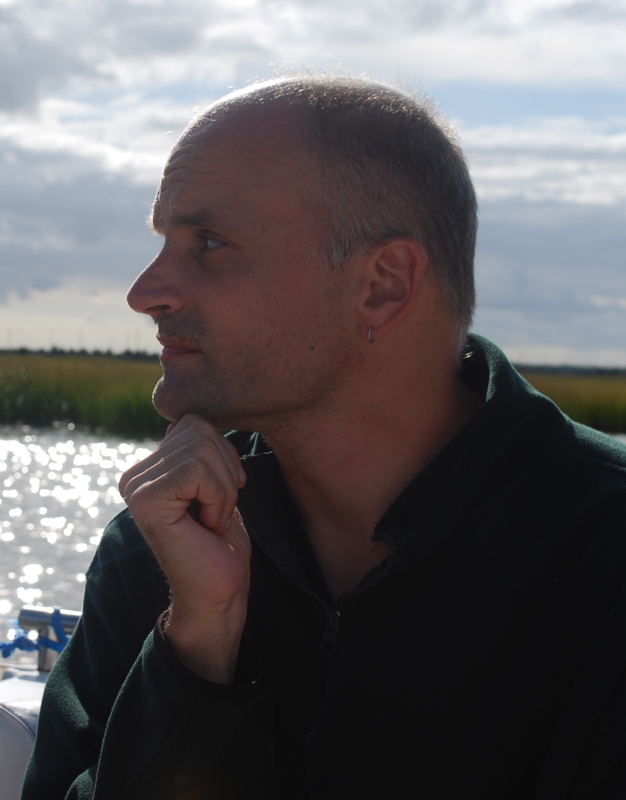 ), loaded into cars or walked over to Alison’s… and swam and sunbathed for two hours. Afterwards, Alison drove a couple of the Juniper Hill guys back home. Her 7 year old son Daniel had really taken to Michael (as many young Lego heads do)…. and Michael had invited him over here to see his Lego collection. The two of them…. Michael (who is 22 years old and lives here) and Daniel… headed up to Mike’s house at the top of the hill while Alison caught me up on the stories of the day… (I did not go swimming… I grabbed the opportunity to be alone here in a quiet house after a very energetic morning of organized chaos with 30 people). Michael and Daniel returned 20 minutes later, and Alison and young Daniel left. Daniel went home with one of Michael’s Lego men, just because Michael loves to give presents to people. And then everyone took a nap til dinner. That’s a beautiful, friendly, INCLUSIVE day on the Hill. Happy Anniversary to us! 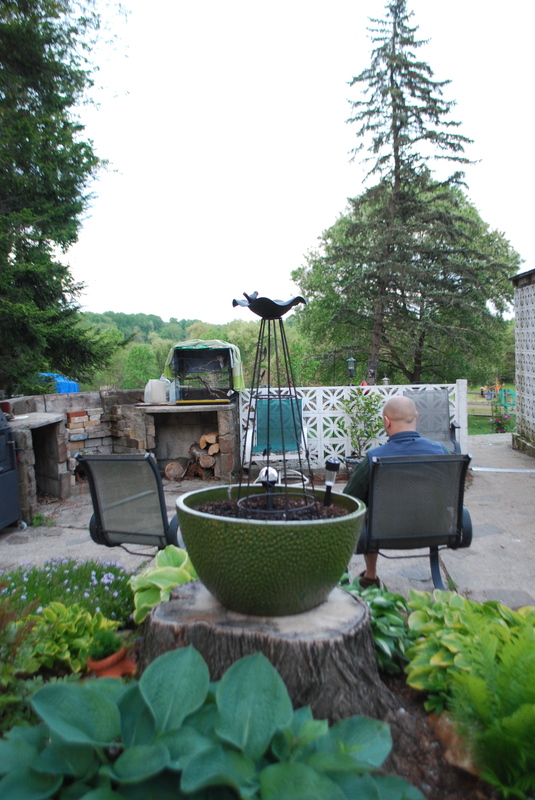 Tomorrow is Ray’s 27th birthday… and it is this weekend that he moved into the green house on Juniper Hill, just two years ago. 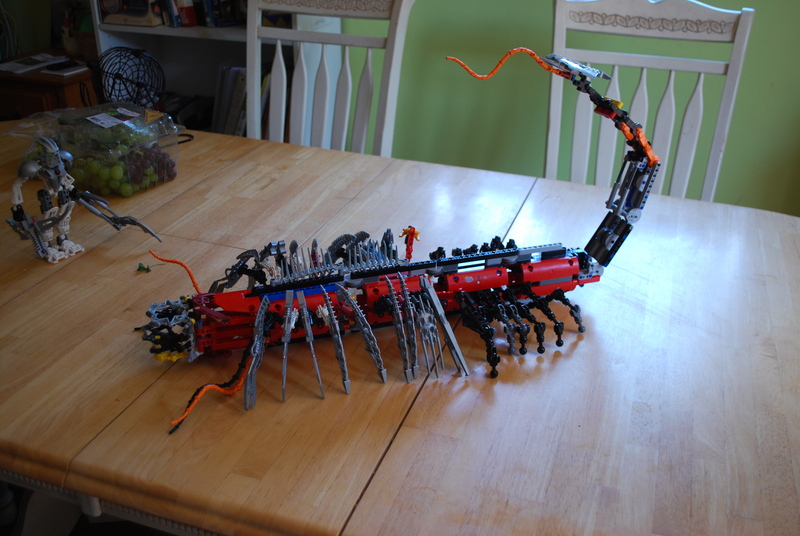 He moved in with a blue crayfish, giant bins of LEGO/Bionicles, plus one GIANT bin which contained the cardboard /packaging of all of his LEGO/Bionicles …. because they have information on the cardboard that he wants to remember… just in case. Jose had also just moved in, to the cottage at the top of the hill where he joined Brent who had been alone since his housemate of 12 years had moved out three months before. Andy had been visiting for weeks at a time during the summer, and had decided that he, too, could leave his parent’s home after all, and move out on his own. And so the ‘core four’ began their life together on the hill…. navigating social interactions and the well-stocked pantry of available food. That first weekend all together, Ray asked if his best friend could visit for the weekend … and so we met Michael. 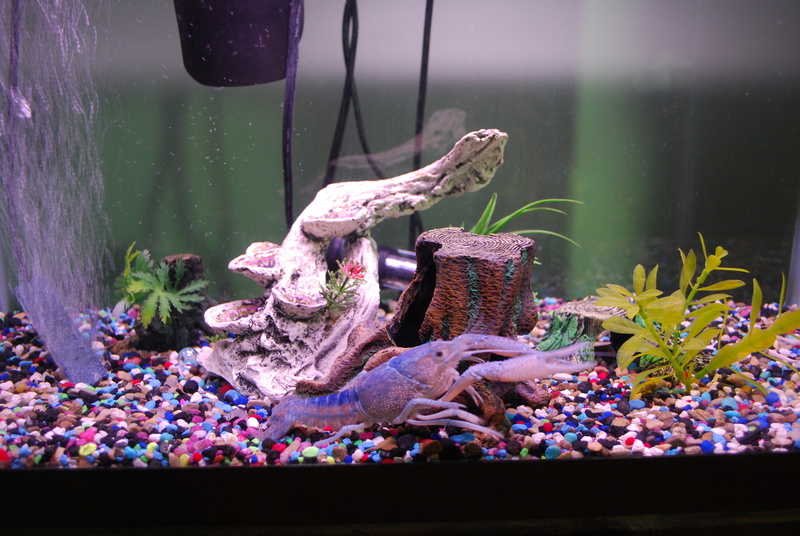 He became a regular visitor, and moved in some months later while he finished out his last year at school. We had a plan, my friend Mollie and I. We would all live happily together and grow giant fields of sunflowers and other cut flowers for bouquets, and we would work the fields with help from all of our other friends who happened to have a disability. Our flower business would thrive, and we would make flower arrangements for events, wreaths for Christmas, and hand deliver bouquets for all holidays. 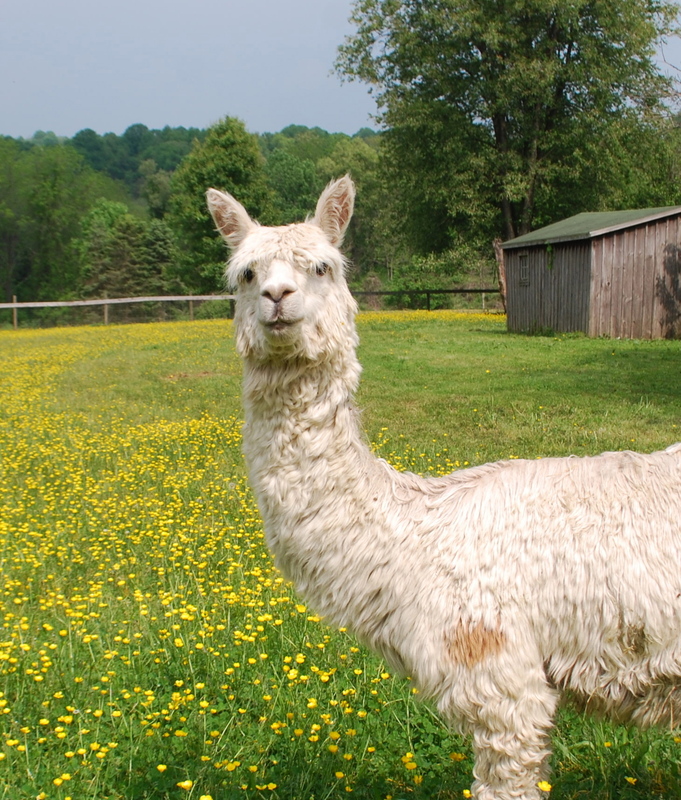 We would have herds of fiber animals, and after we sheared the alpacas and combed the cashmere goats and angora rabbits, we would process the fiber and spin it into luxurious skeins with our spinning wheels as we sat by the fire on cozy winter nights. 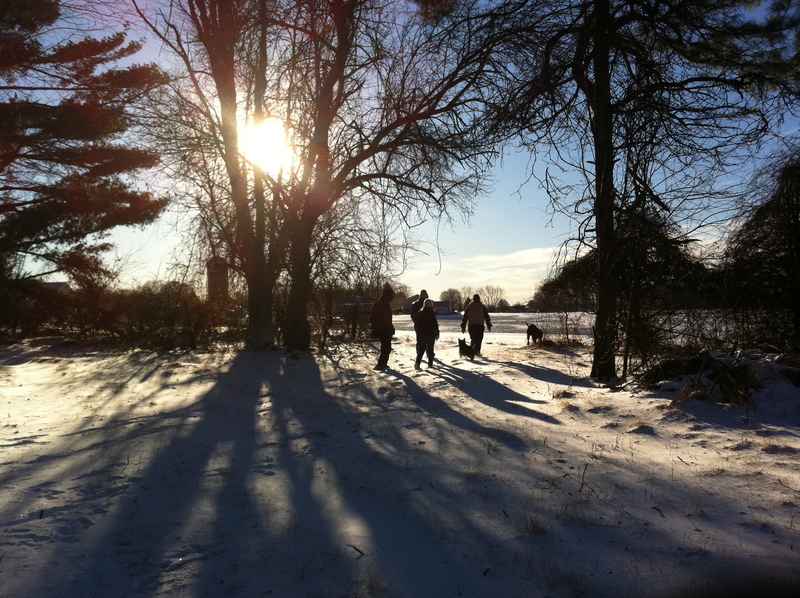 And then come spring, we would travel all over the East Coast selling our wares at farmer’s markets…. and we would earn enough money for all the guys to have a decent income, plus become a non-profit and get start-up grants to get it off the ground. Live happily together? But he’s LOUD. He hurt my feelings. He stole my … _____ (LEGO, money, chips, favorite shirt). He hogs the TV. He hogs the computer. He swears. I hate his music. Grow giant fields of perfect flowers? Not if the groundhogs and deer, weeds and stinkbugs have anything to say about it. Work in the fields? In the dirt? With bugs? In the sun? For how long? The toilet’s broken again…. a gallon of milk, a dozen apples, and two bags of chips just disappeared in an hour…… and there is a mystery $300 dollar overcharge on the Comcast bill. Farmer’s Markets all over the East Coast? You mean, like when we are not busy weeding? Like on Saturday mornings? When we are sleeping until noon because we are tired from our busy week? It’s midnight and the dishes are done and the kitchen is clean and the guys seem settled and getting along… guess I should write that grant now. And weren’t we going to learn how to spin? 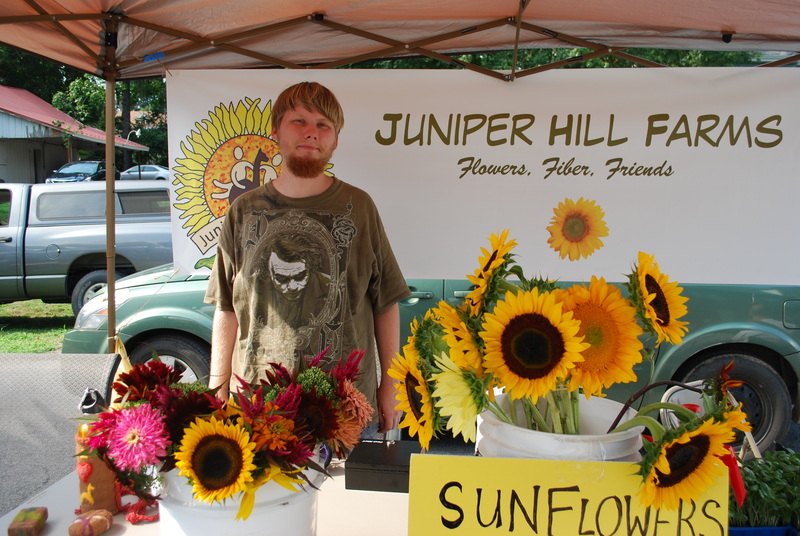 Here’s what we DO have here on Juniper Hill, after two years. 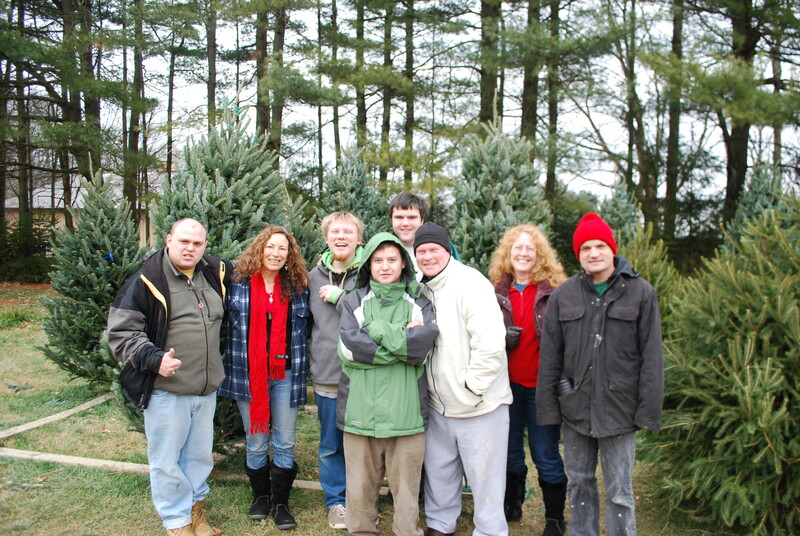 A growing community of friends who happen to have autism, or other disabilities. A group of friends who care about each other, who trust each other, and who get together once a week to work for an hour or so, here in the fields and then hang out over a fantastic lunch made by Jose, who loves to cook and feed people. A medium sized field of flowers, but sunflowers only, kind of weedy. 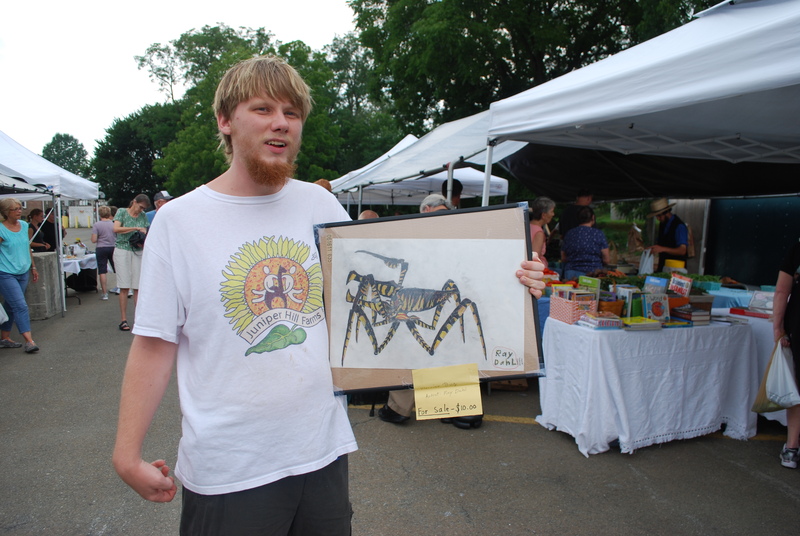 A place at the local West Grove Farmer’s Market, which runs on Thursday afternoons…. only. Close to West Grove’s ice cream shop, the library, and Chinese restaurant… for market breaks. One toilet fixed, one more to go. No start-up grants or non-profit, went back to working instead. 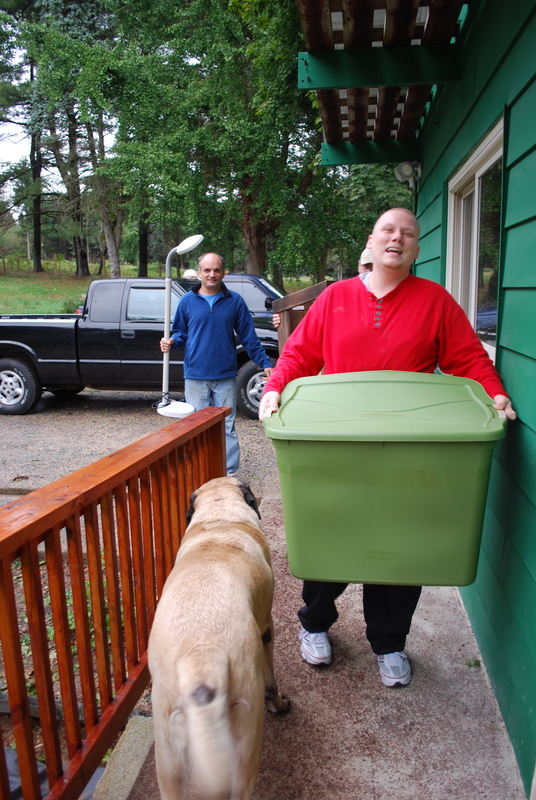 So I now help other people with autism and other disabilities, to set-up their own independent housing in the community. I have a regular paycheck, and it pays for fencing. And here on the hill are a group of guys who have learned to live together, play together, share their space, their food, and the TV. 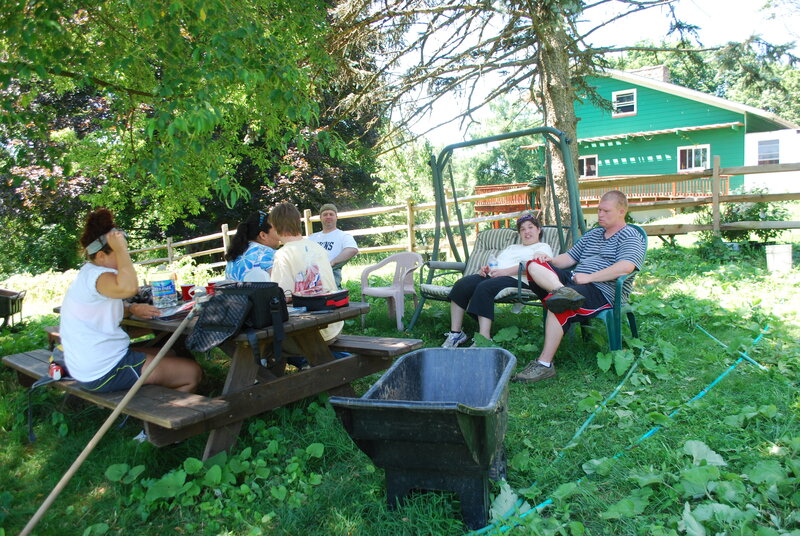 They take care of the farm animals, do daily farm chores, learned to cook, have great support staff who have hung in there for the entire two years…. It was always supposed to be about the GUYS. And it is. And no, I haven’t learned how to spin. 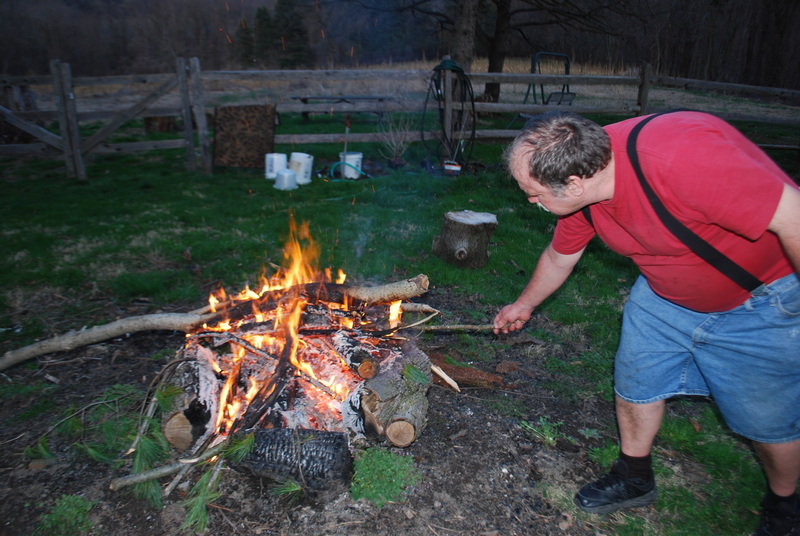 But the WWOOF volunteers came with a spinning wheel and cozy winter evenings are coming up… who knows? Motivation…. it started out as competition, before they cared. 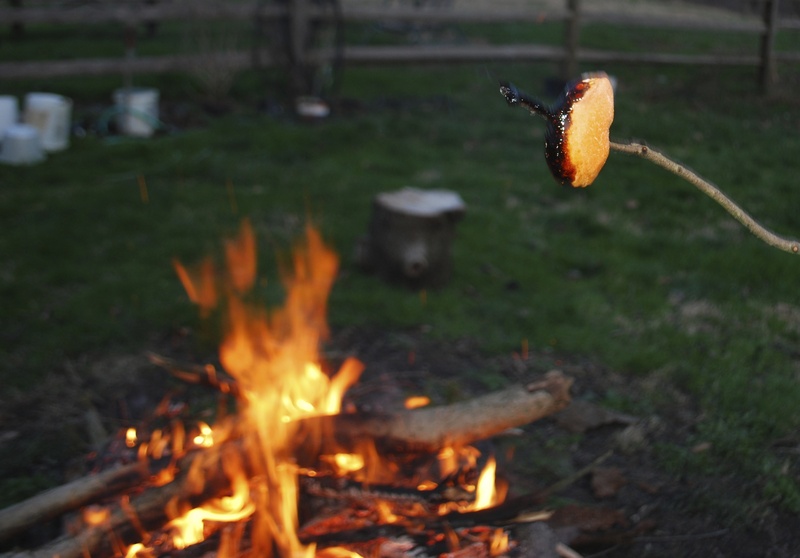 Brent cooked independently …. and got lots of attention from visitors for it. The other guys started cooking. Ray brought home a paycheck and bought himself his own junk food and CD’s. The other guys requested that their support workers take them job hunting. 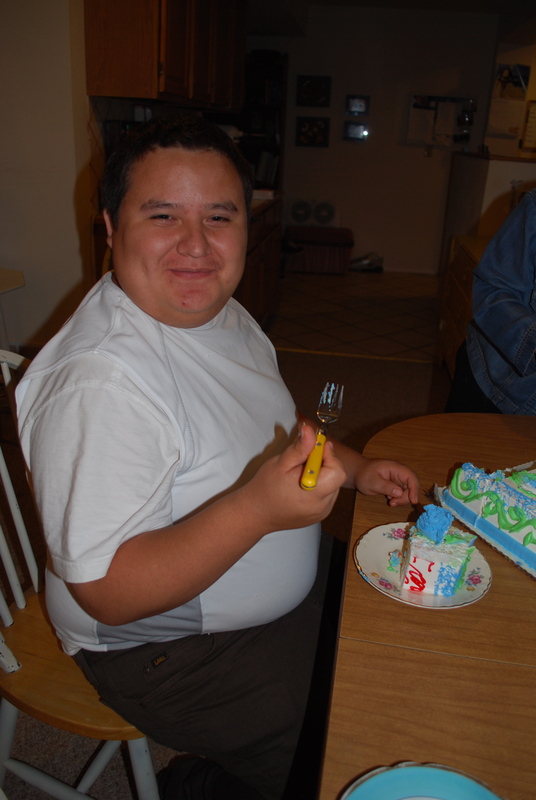 Jose made a conscious effort to change his eating habits and lost a ton of weight…. everyone who knew him before showered him with compliments. The guys started dropping waist sizes and talking about food choices at dinner . Andy volunteers at the library and checks out books that he reads each night after dinner. The others wanted their own pile of library books. Before they really cared about each other, they just wanted what the others had. Their motivation began as a competition… for attention, for money, for books. It got them off the couch temporarily, but that type of motivation just doesn’t go very deep. 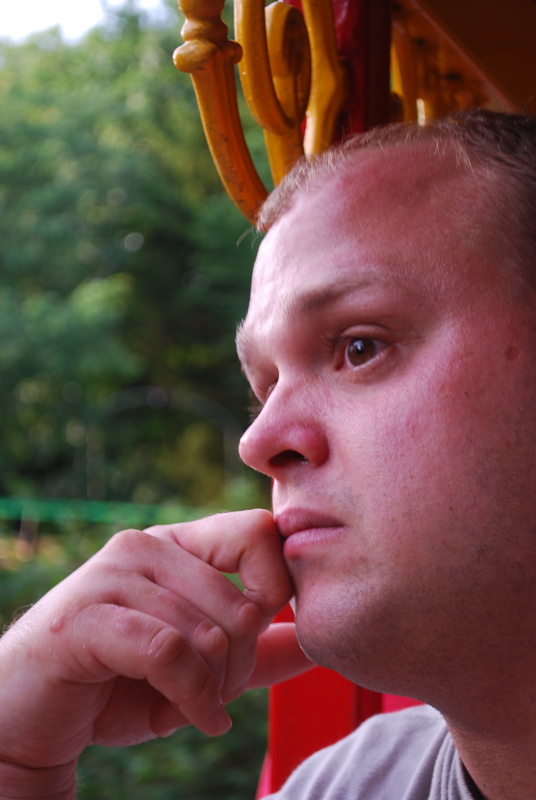 The anxiety, anger, melt-downs, sensitivities, intolerance, mistrust… still front and center. They just had more books. 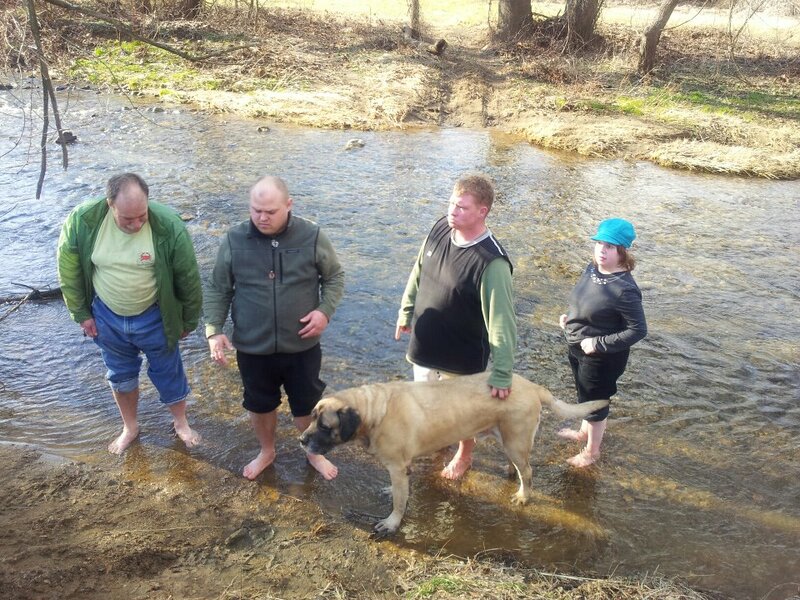 Almost two years ago…the guys started out as a group of pudgy overweight, unmotivated, anxiety-ridden gang of couch potatoes. 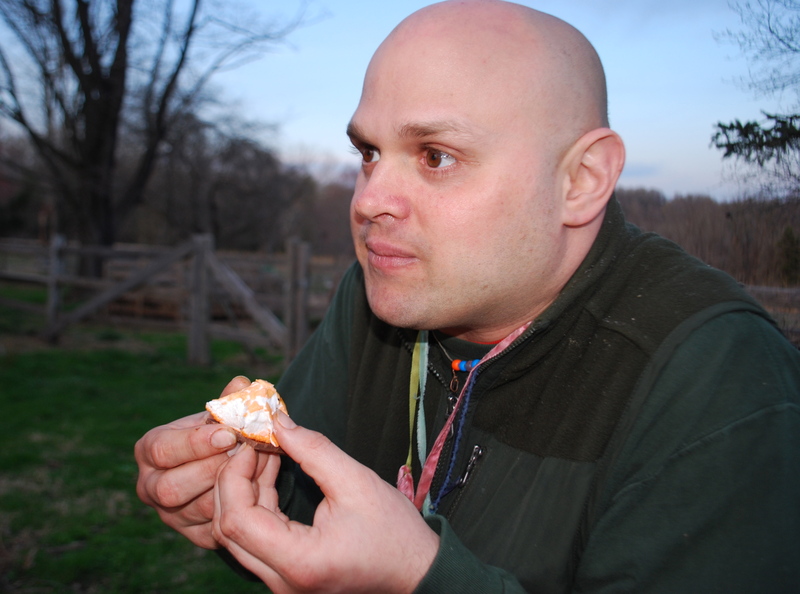 Except Brent… older than the others by at least 10 years….healthy, fit, and motivated to work from sun-up to sundown, had hobbies and filled his leisure time… He has lived here on the farm for 18 years. Brent has most of the same difficulties as the others …. anxiety and melt-downs, sensitivities and intolerance. But he doesn’t have the mistrust that the others have, and his behaviors are rarely directed towards the guys. He really likes his housemates, and he was the first to show that he cared, no matter how much the other guys were acting out. Brent is also quiet…. he sits at dinner listening, rarely contributing to conversation. Everyone else battles to get a word in. And every other guy has SOMETHING about him that annoys the others. But Brent?… there appears to be nothing about him that is annoying to the other guys. So Brent became the one that everyone bonded with first. Coming to his defense when it seemed like he might need it, always watching out for him and making sure he got his share…..they TRUSTED him. But they also respected him. They see how hard he works, without complaining … ever. They can see that he doesn’t need to be begged, prodded or lectured to about adult responsibilities in a household. They see that when the arguments are about whose dishes are in the sink and who should load them, he just gets up and does it. And they see that he earns a decent amount of money each week because of the extra work he does. They also see that he keeps most of his personal ‘stim-stuff’ to himself when he is out in the community. No one forces that issue. He wants certain things from those he comes in contact with… so he makes an effort to understand the people he meets and has learned to express his needs in a way that can be understood. His desires are rarely ‘typical’…..they usually involve checking out the heating systems in people’s houses, or asking questions about their car keys. But he has learned to do it in a way that endears himself to almost everyone he meets.. EVERYONE loves Brent. His maturity and work ethic shine in everything Brent does. He makes the other guys want to better themselves. 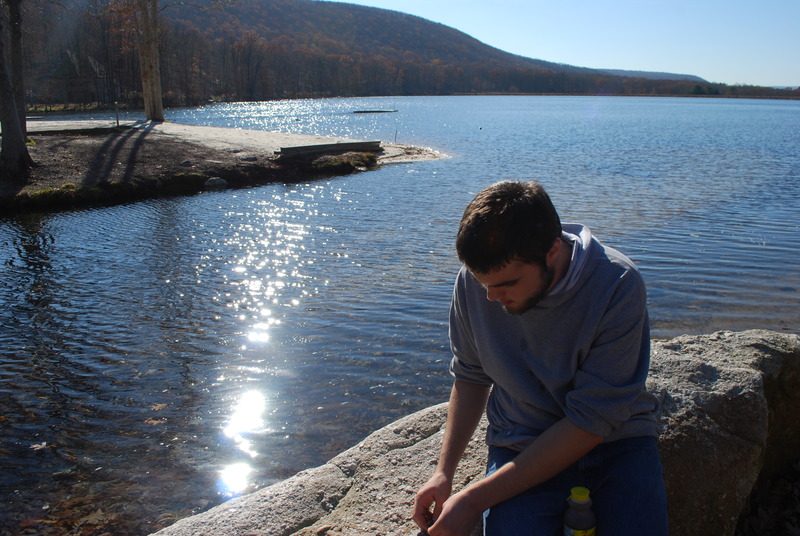 There is a turning point in young adulthood, with or without a disability. A point at which your motivation changes from doing something because someone older expects you to, to acting on something just because it’s the right thing to do. A few weeks ago, Jose started getting up in the morning on his own, giving himself an hour before his staff showed up. He started making his own coffee, and real homemade oatmeal from scratch (with frozen strawberries blended in yummm), the way he has been taught over the past year. and when he is finished now…. he loads his dishes and checks to see if the dishwasher needs to be run, and TURNS IT ON if it needs it. He turns on the dishwasher now, just because it needs to be run. Seems like a small thing, right? Cashmere Cashmere everywhere…on our clothes and in our hair…..
It’s almost time! 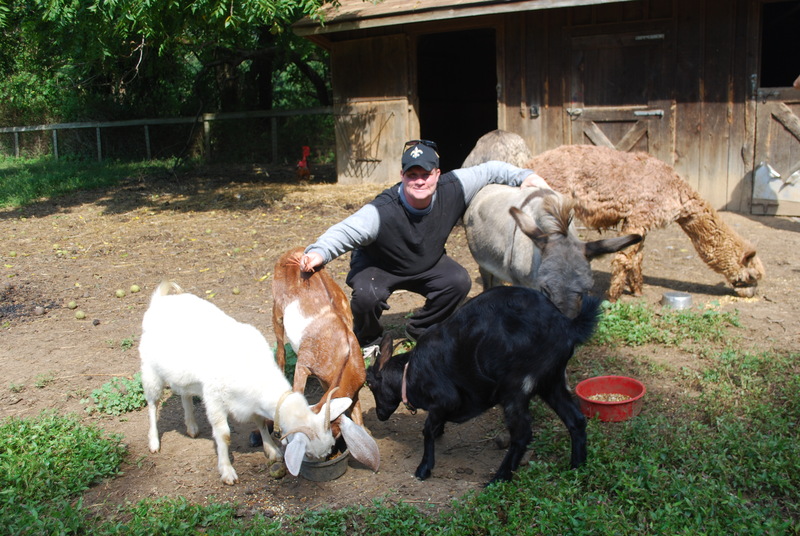 Yesterday, clumps of cashmere came off into our hands as we reached out for Johnny CASHmere while feeding the barn animals. 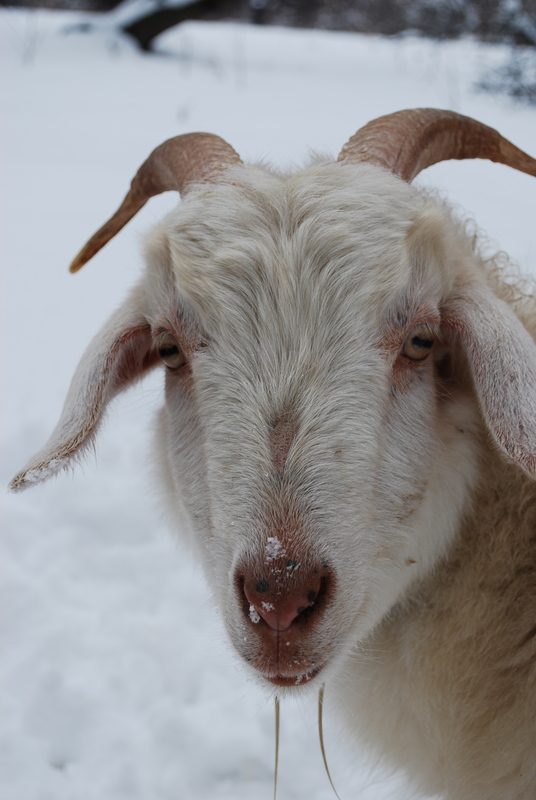 Johnny the goat has the most beautiful thick white coat of curly cashmere, and he was the first to begin shedding last year. We were unprepared for the copious amounts of billowing cashmere in the air for two weeks last spring, as we had understood that we had 6 whole months to gather the cashmere.. not so! Although cashmere goats might begin to shed in December, it is barely noticeable until it all jumps ship within a couple of short weeks in mid March. If you blink your eyes, or if it rains a lot during that time, you’ll miss it! So we are determined to gather the cashmere this year, before it lands on the fences and branches of the trees, or in the nests of house wrens and chickadees. 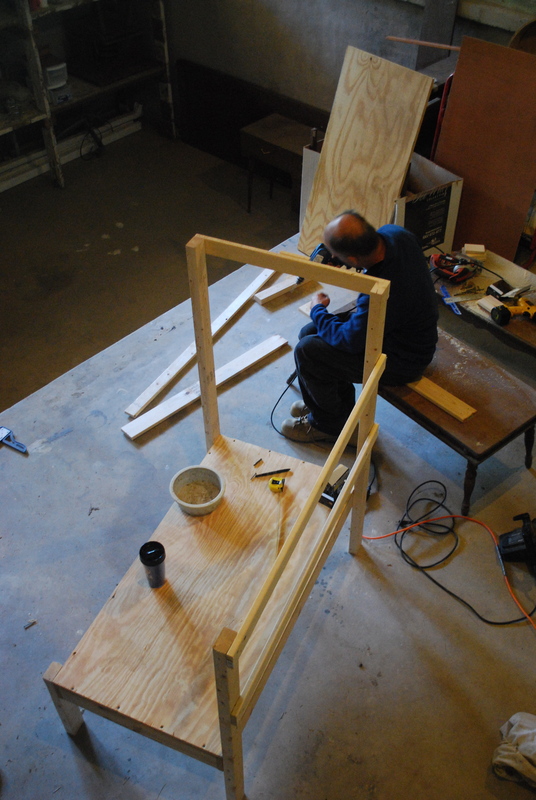 We have two goat stanchions now, thanks to the handiwork of Brent and Mindy…. 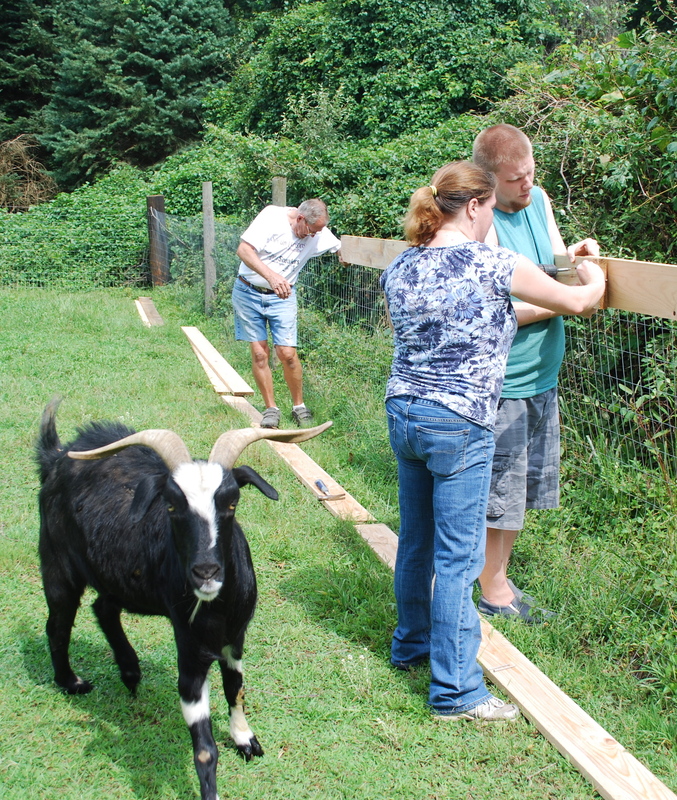 the stanchion holds the goat still while it is groomed. We offer them treats for standing still for us, and we’ll comb them until the cashmere is all safe inside ziplock bags. 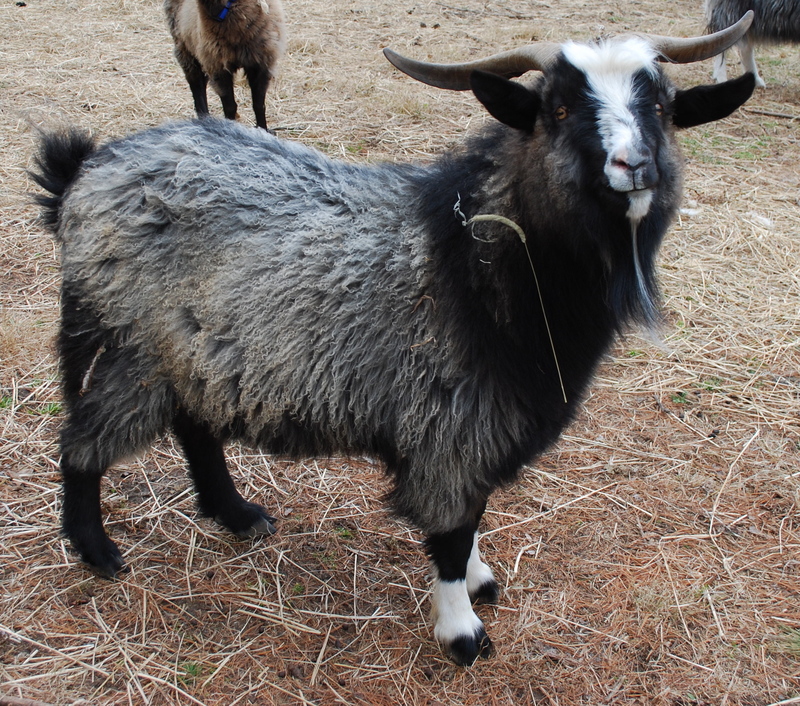 We have big plans for Johnny’s and the rest of the goat’s cashmere this year! We have been experimenting with felting fiber this past winter, and we are finding that the cashmere felts nicely as a first layer with a top layer of our alpaca fiber. How does it sound to have a felted alpaca hat with an inside layer of cashmere against your temples? We think it sounds wonderful. So along with the hats, the guys are experimenting with felted water bottle bags, felted soaps, and felted phone cases. 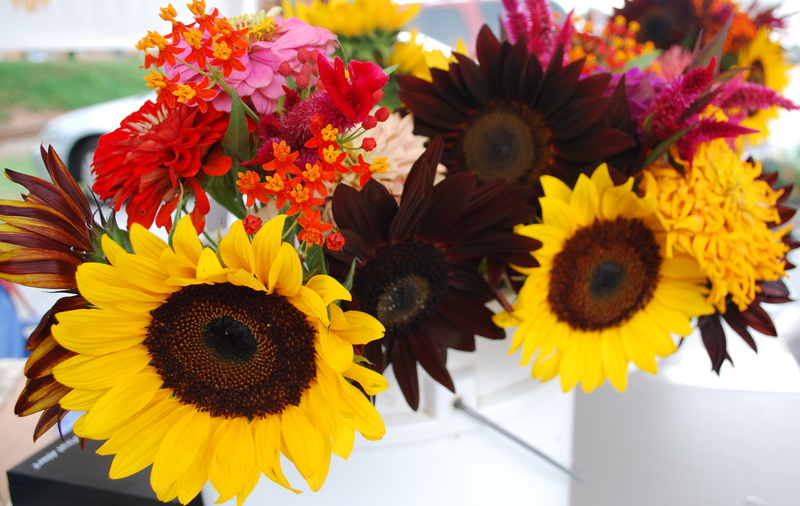 Add that to our 20 varieties of sunflowers, some hand-built wren bird-houses, and a variety of hot and spicy homegrown peppers, and we ‘re sure to have a fun season at local grower’s markets! 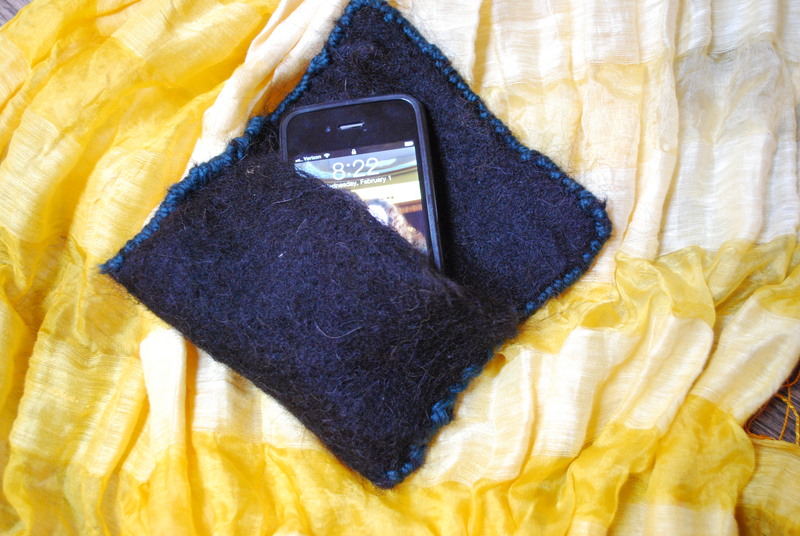 Our first attempt at a felted phone case! 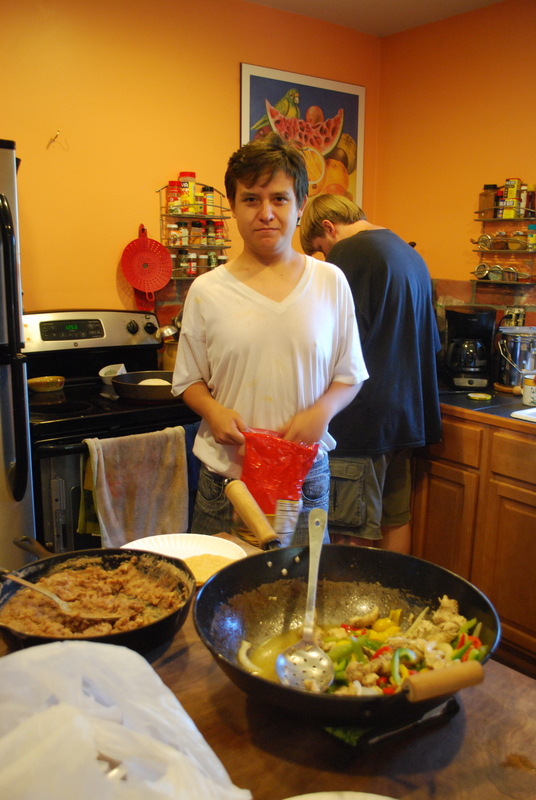 Living independently with autism isn’t just about learning to cook and get along with housemates. The employment piece is one of the most difficult to figure out. Paying bills uses up most of the guy’s monthly social security checks, so it sure would be nice to have some spending money! Plus, it just feels good to have a job. Unemployment among adults on the spectrum is really high. Navigating social situations…. overcoming sensory issues … finding a job and succeeding in an interview… and convincing an employer that you are worth taking a chance on, in spite of your differences. It’s not easy. 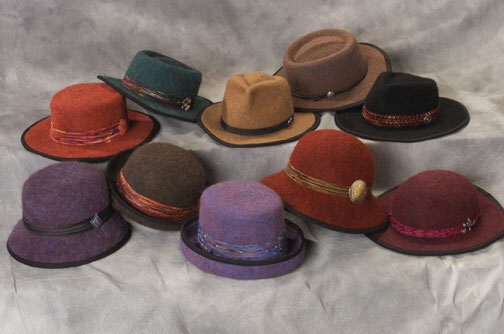 No, these are not our hats. We will pick one style and give it a try! So we decided to take the entrepreneurial approach here on the farm. Last year we grew a small field of sunflowers… 20 different varieties, about a thousand flowers. The guys were introduced to dirt… on their hands, on their clothes… and they were introduced to sweat!… it is really humid here in Pennsylvania in the summer. and …. they did OK! 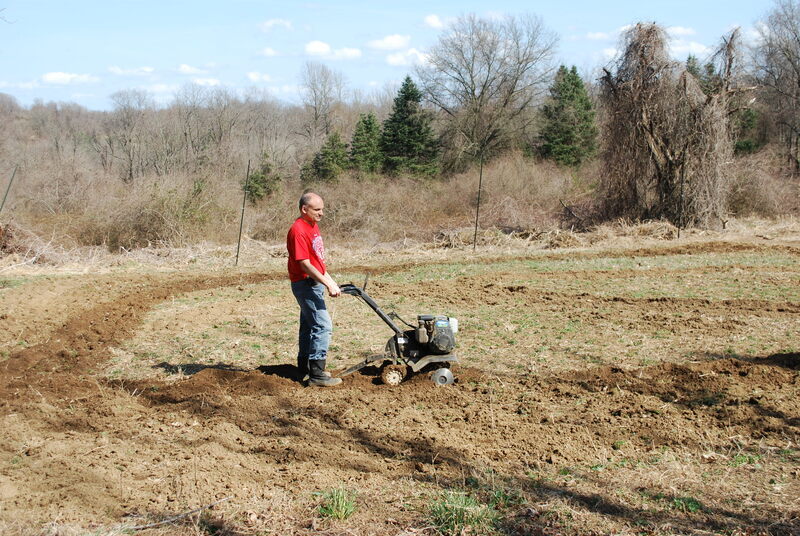 We cleared fields, formed raised beds, and planted seeds in rows. 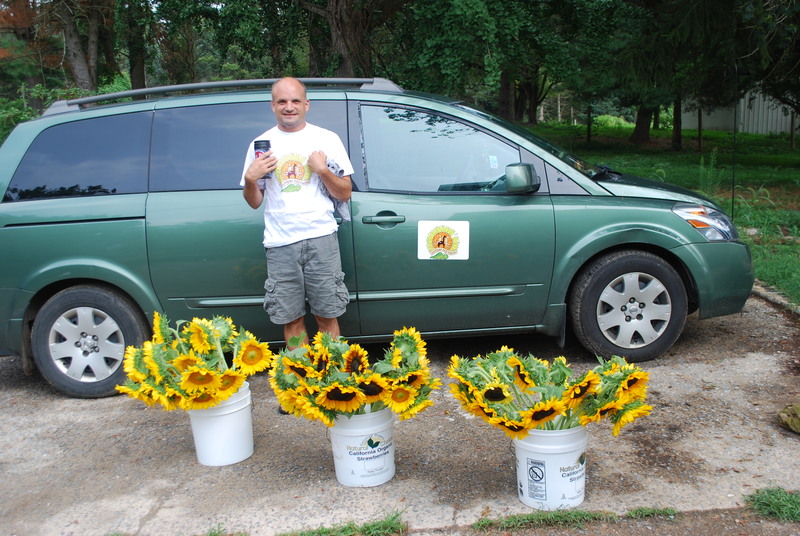 We were rewarded with a beautiful field of sunflowers, and we harvested them, cut off the leaves, put them in buckets and delivered them to friends and local businesses. 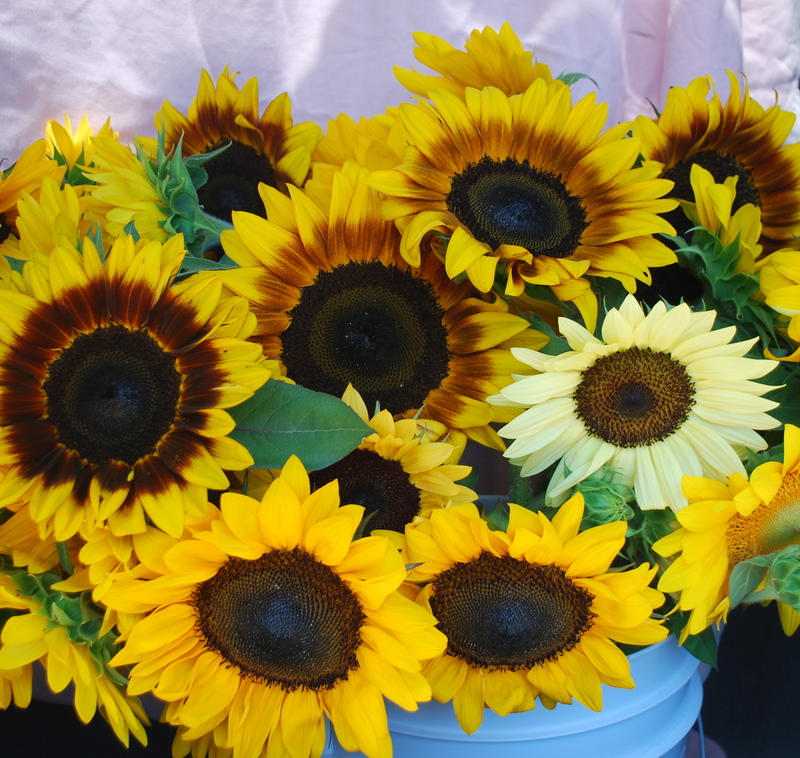 We learned that EVERYONE loves sunflowers. 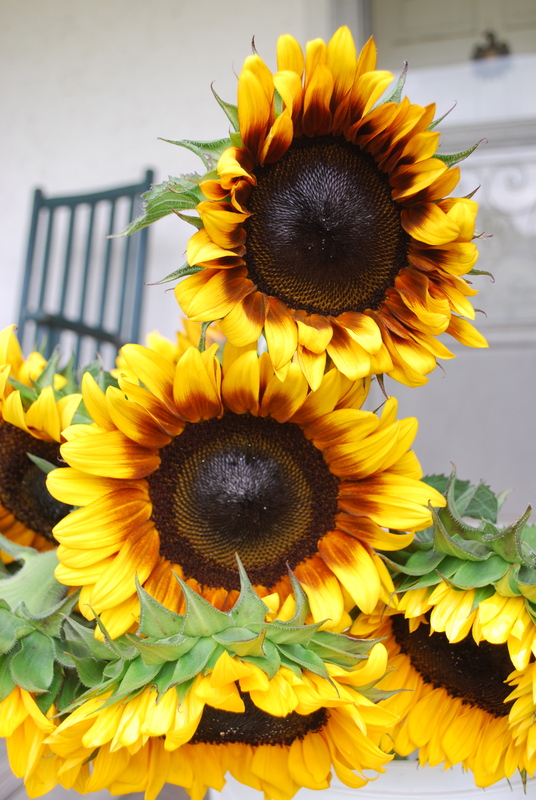 Sunflowers are easy to grow. Sunflowers are easy to harvest. We were convinced. This year, we’ll try succession planting so they bloom over the entire growing season, and we are tripling the size of the fields. 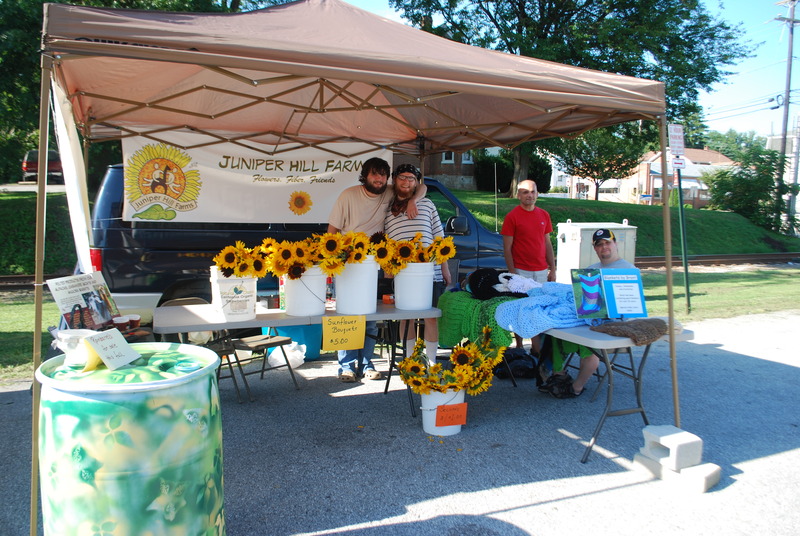 There are several local grower’s markets that we will approach and ask to be vendors. 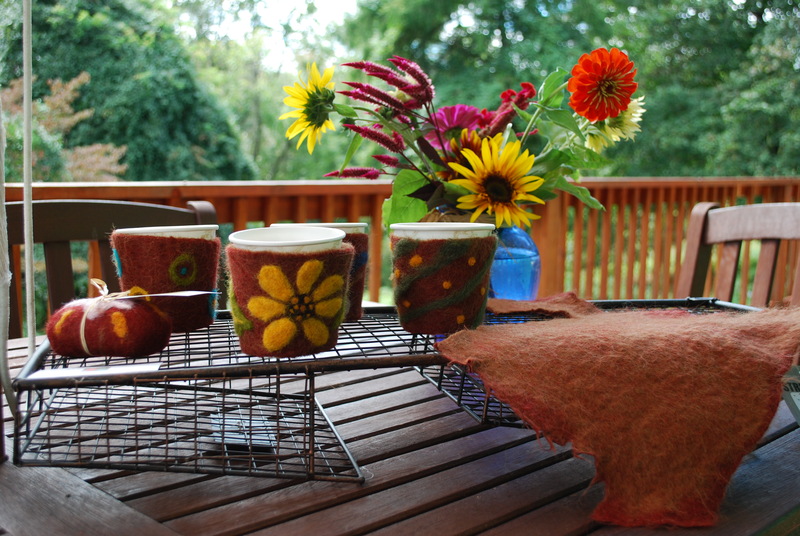 The sunflowers will be our main product, but we have a good strong start on the fiber items as well. Setting up a table at a market and selling our items and meeting people is actually what the guys look forward to the most… they love to tell their stories. It’s taken a year or so for the guys to embrace this idea…. this was not the dream job for most of them. 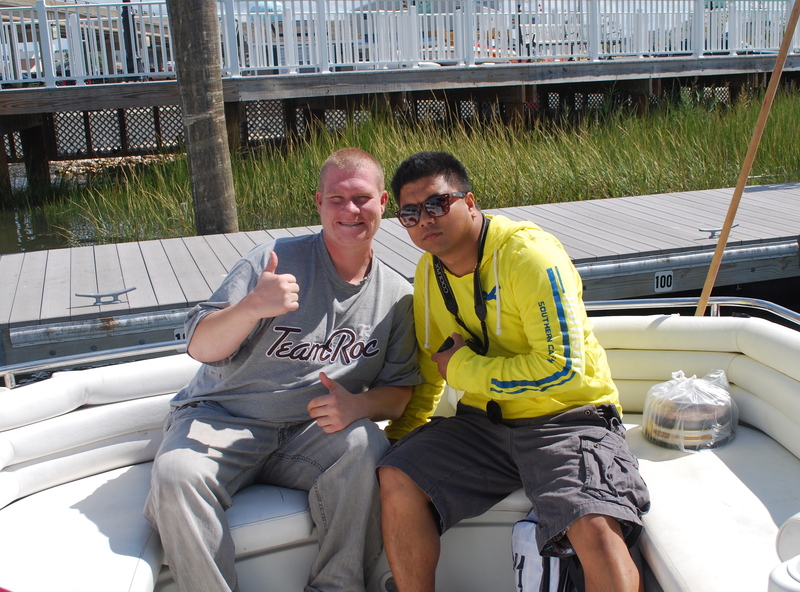 But watching Brent and Ray, who love being outdoors, work hard and make handfuls of cash on delivery days last summer… well that was all it took! We shall see what this year brings, but right now we are all chomping at the bit to get started. Brent with his new blankets ready for the fair tomorrow! 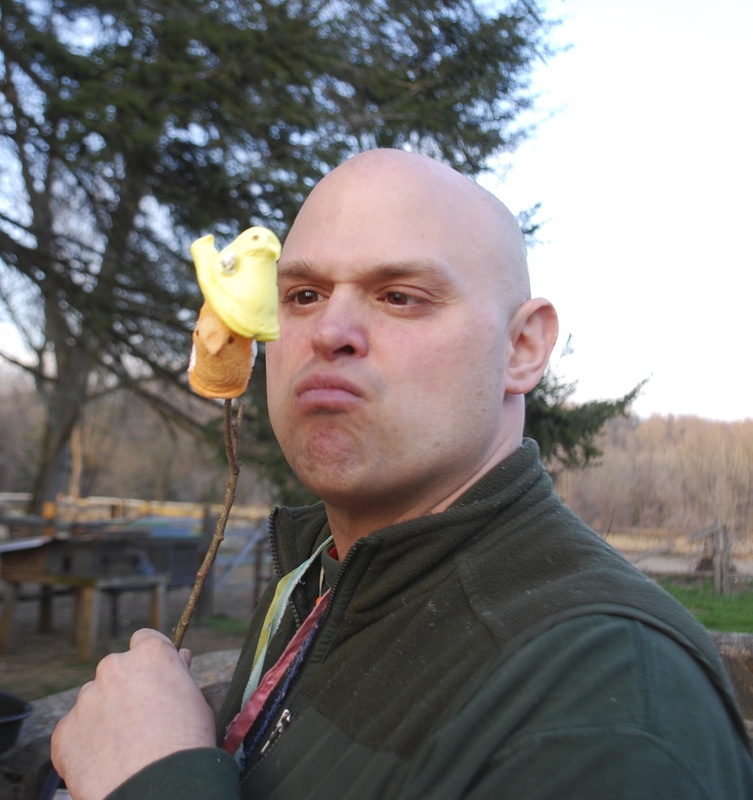 We can’t end a post on entrepreneurs without talking about our most amazing entrepreneur here at Juniper Hill…. our wonderful hardworking friend, Brent. 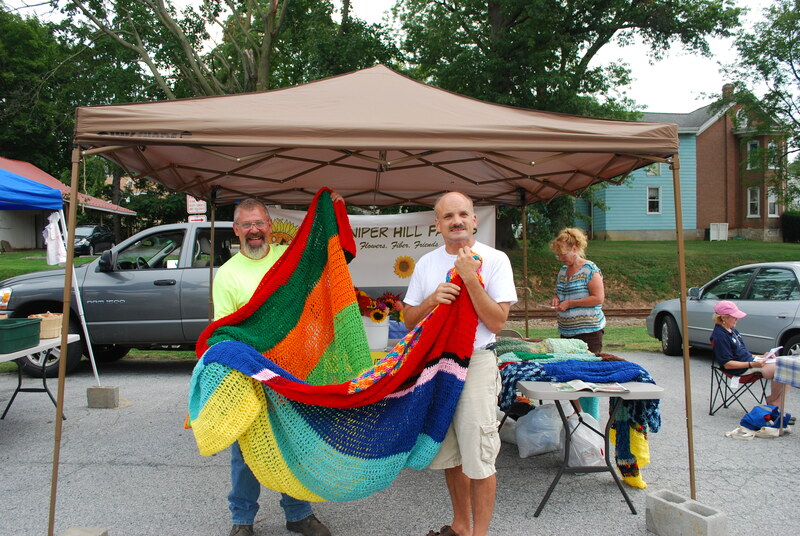 Brent has been crocheting blankets for over twenty years. 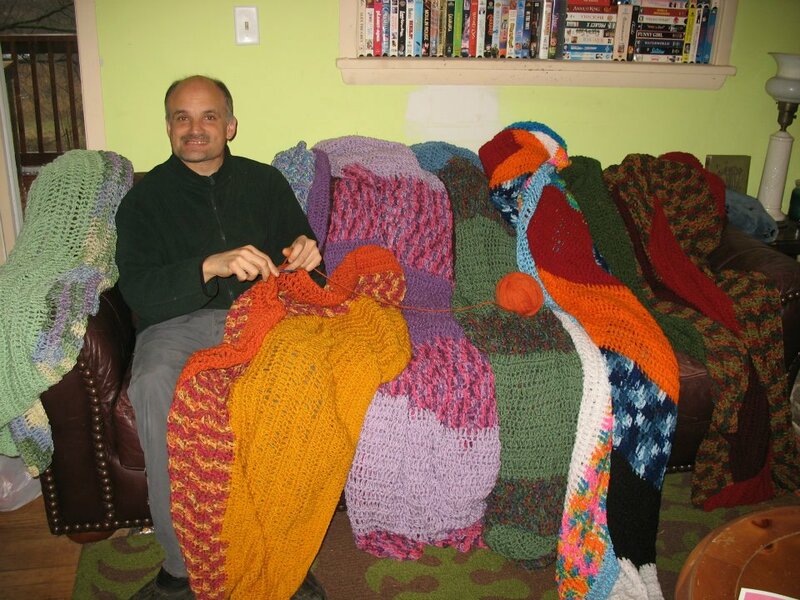 Originally, he just wanted to crochet blankets for people who would trade him for car keys, his true obsession. But these last few years, Brent has discovered that he can actually sell his blankets for money , and it has inspired him to work harder and choose his colors more deliberately. You can learn about Brent on his Facebook page, Blankets by Brent. Last year, Brent presented at the Reinventing Quality Conference in Baltimore, MD. And tomorrow, March 3rd, Brent will be selling his blankets at the ‘Celebrate Differences Film Festival and Art Exhibit’ in Media, PA. 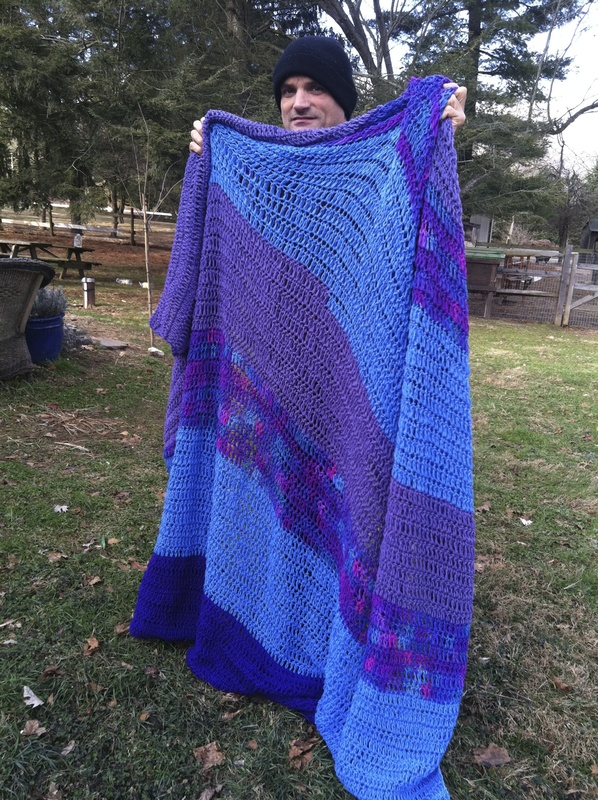 He just crocheted six blankets in less than 3 weeks, and they are just gorgeous. He is quite excited! 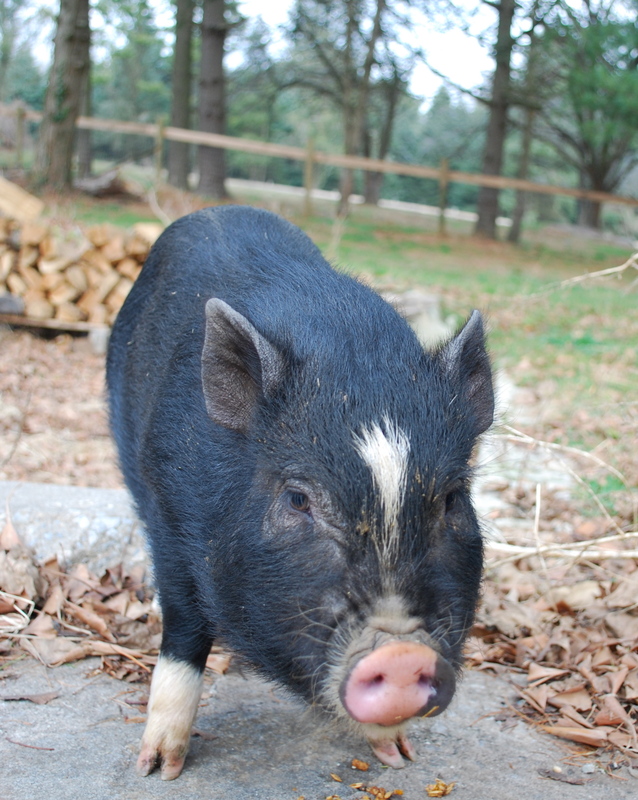 Although the uncertainty of not knowing whether or not anyone will actually buy the blankets is overwhelming at times for him, he has learned, through constant reminding, that there will be another fair along soon, and more folks to buy his blankets… and a space at a Grower’s Market this spring! Update** Brent sold every one of his blankets at the fair! Thanks to all who came out today! !